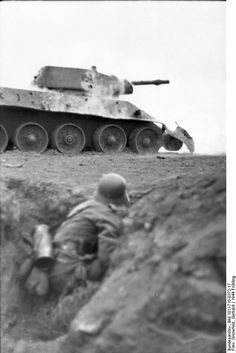 Troops of the German 'Großdeutschland' Division on a road in Russia with Soviet field guns and a Tiger I heavy tank fall Photo: Bundesarchiv Bild Pfeiffer. 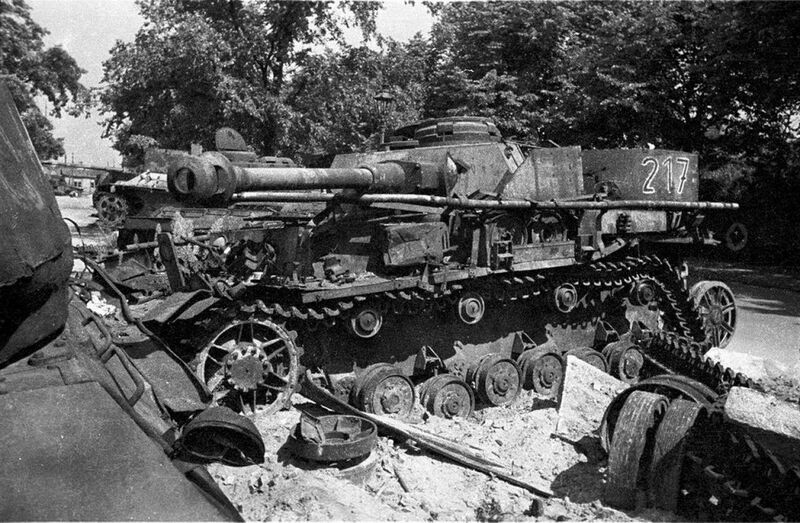 Wrecked and burned German medium tank Pz.Kpfw.IV Ausf.J, Berlin, may 1945. 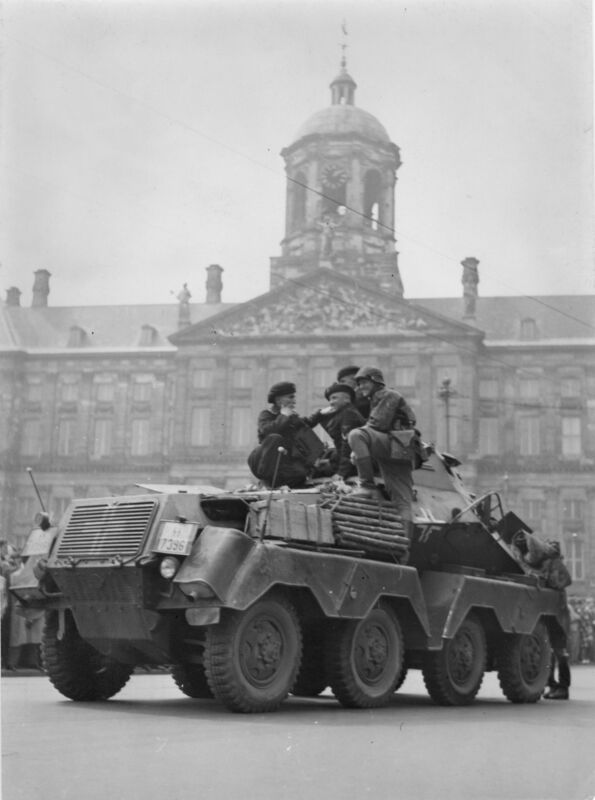 The first Germans in Amsterdam. 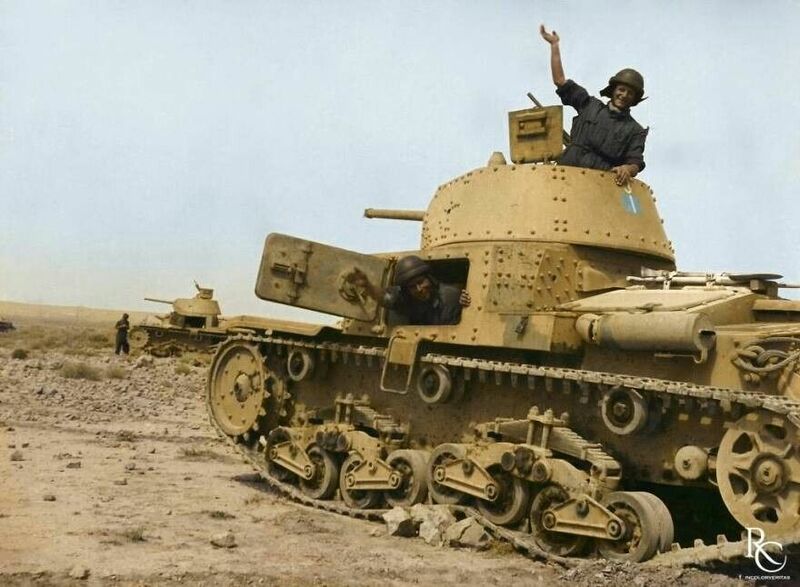 The Netherlands, May 15th 1940. 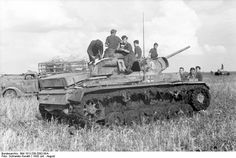 Bundesarchiv Bild 101I-710-0372-17, Ukraine, training of anti-tank weapon. 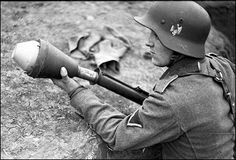 Ukraine.- Soldiers during training / exercise with anti-tank weapons. 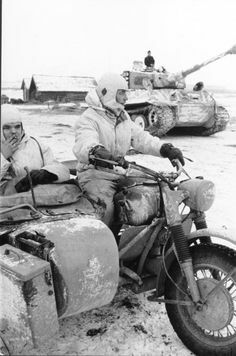 German Army PzKpfw VI Tiger I heavy tank and motorcycle Russia March Photo: Bundesarchiv Bild Johannes Bergmann. 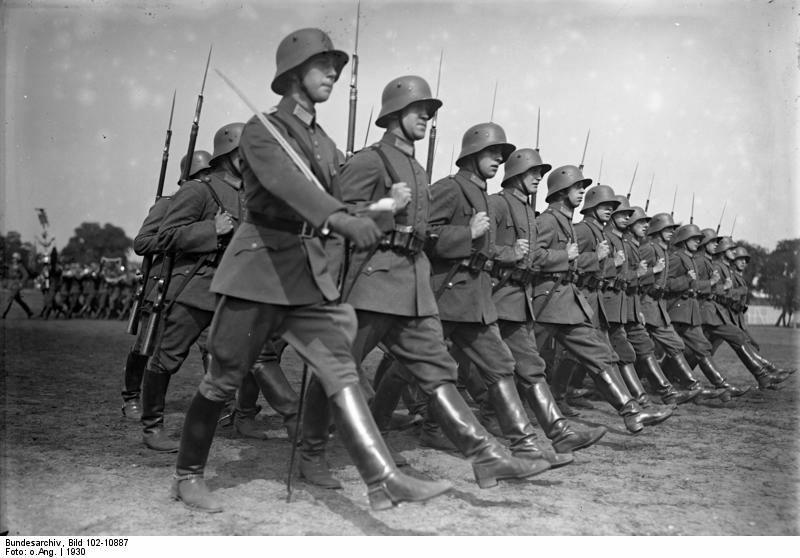 German Military Police in Russia. 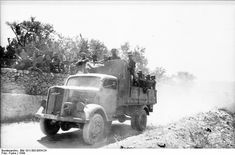 1941. 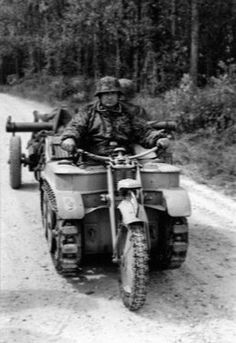 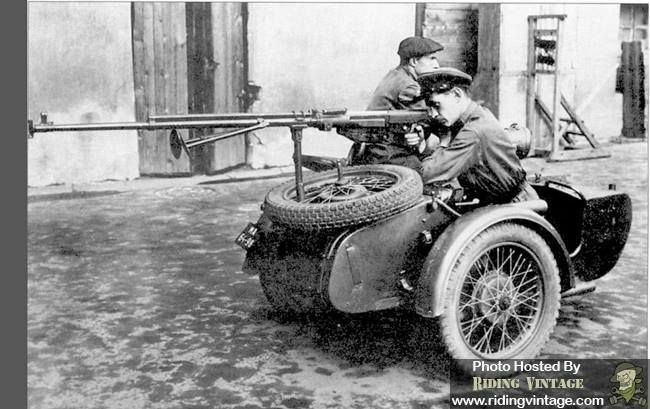 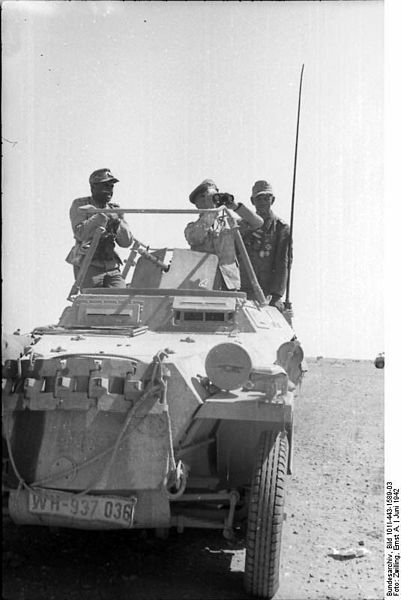 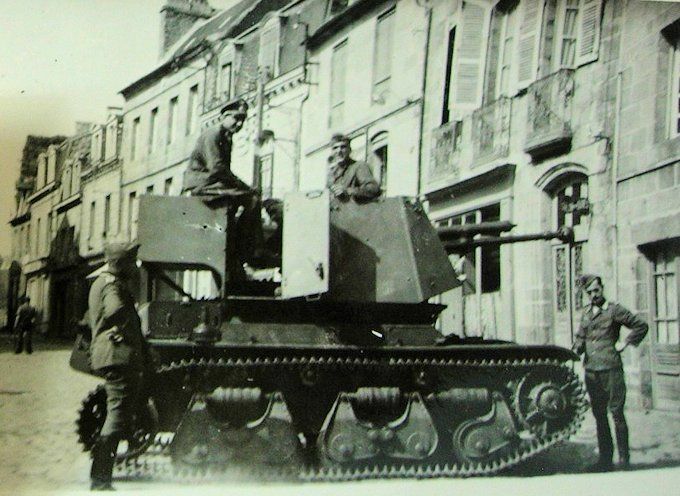 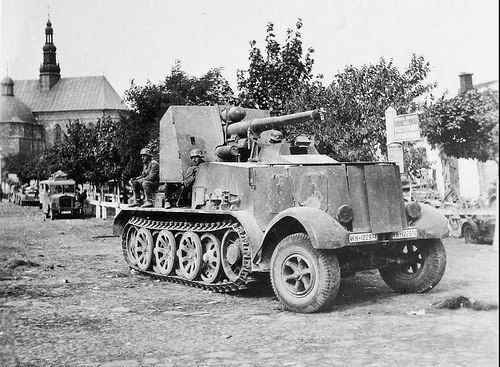 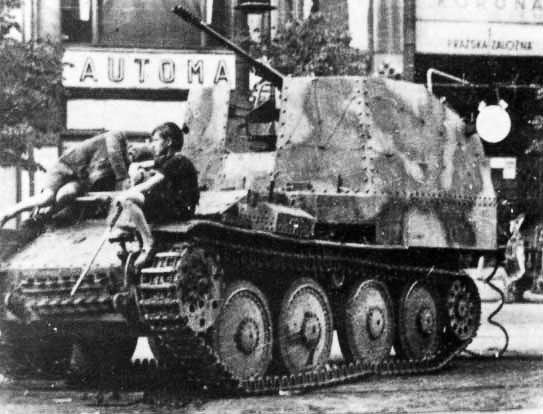 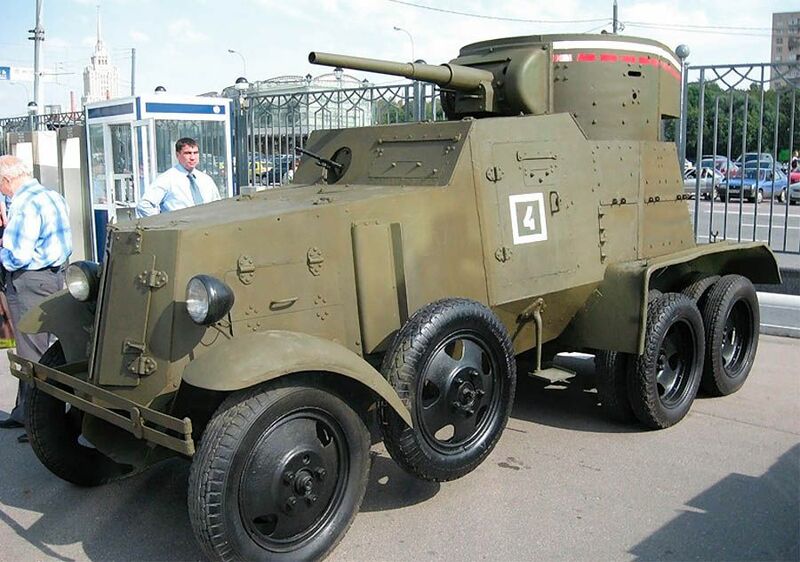 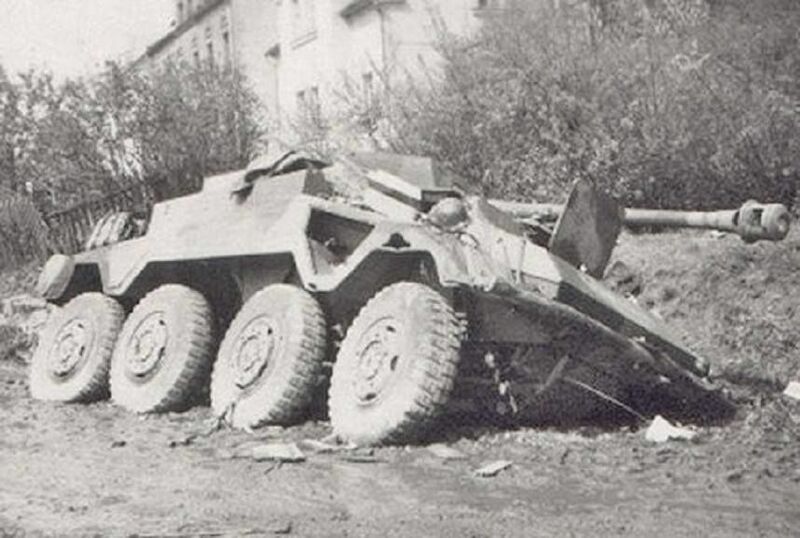 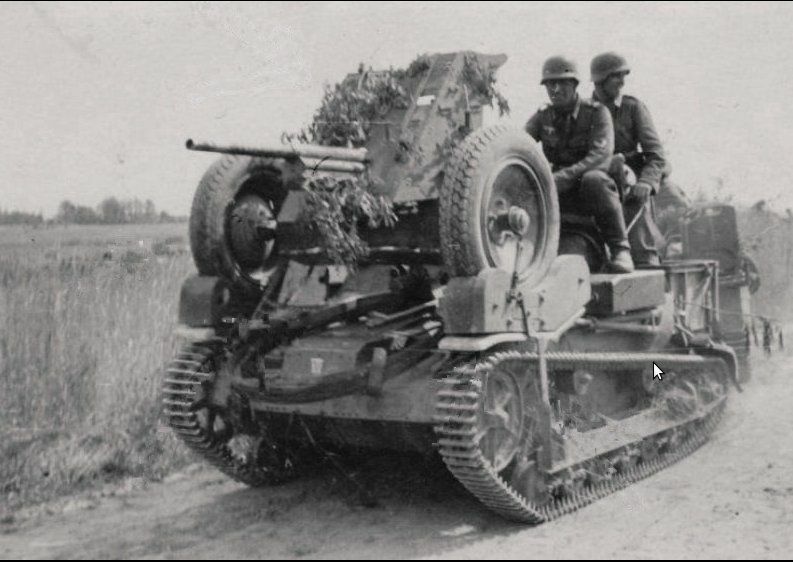 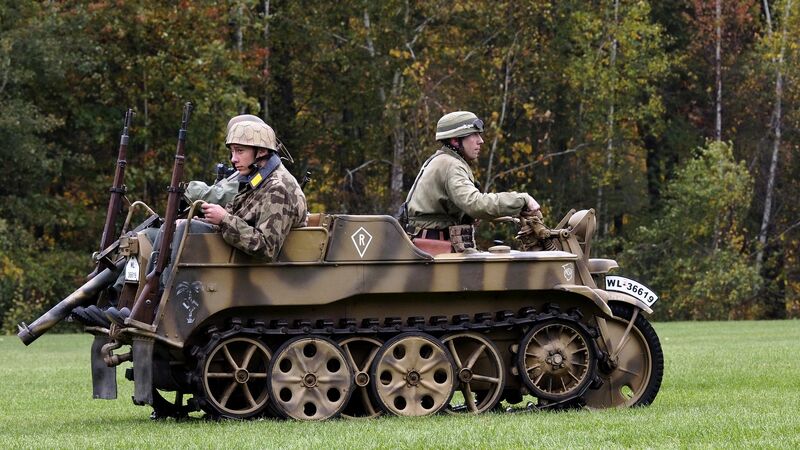 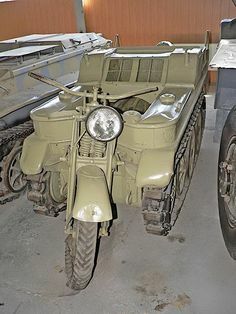 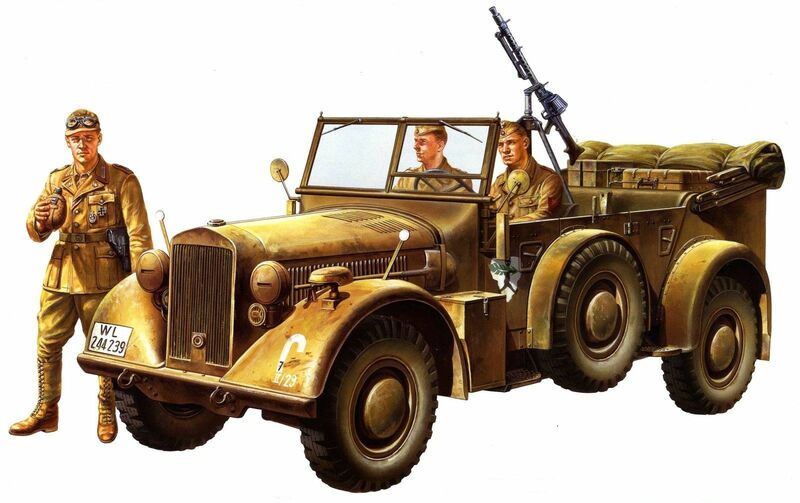 A Kettenkrad modified with armor protection from snipers. 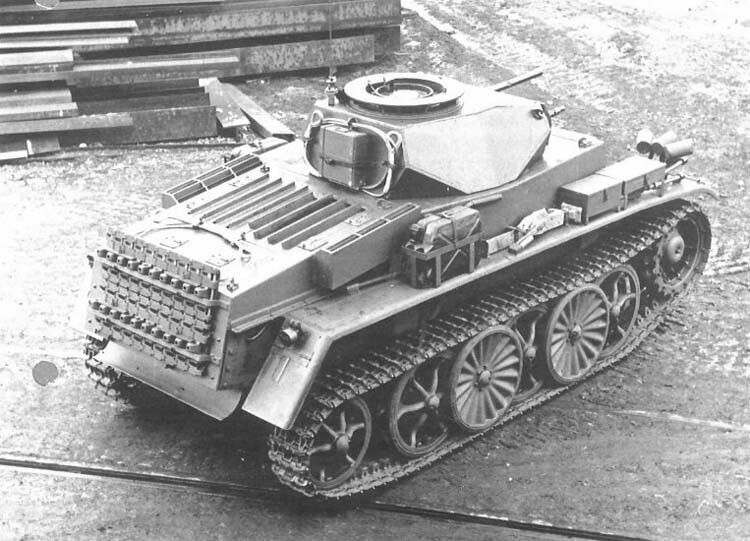 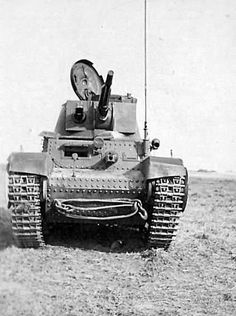 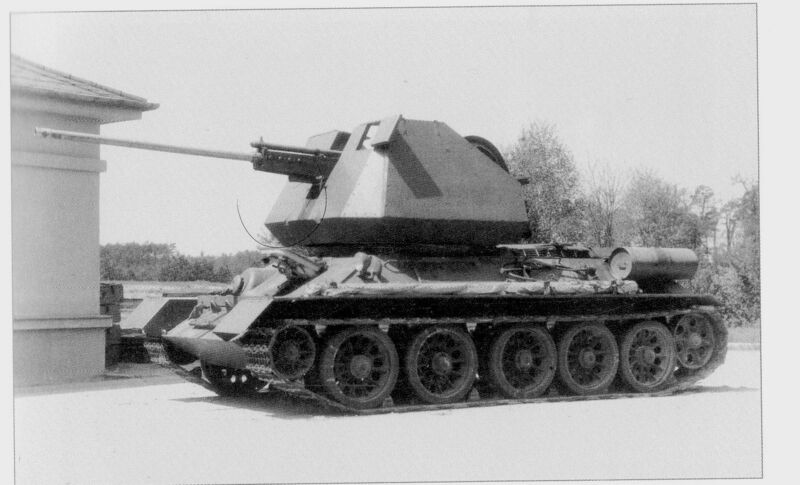 F was retrofitted with Schürzen on turret and covered with German & Soviet track links. 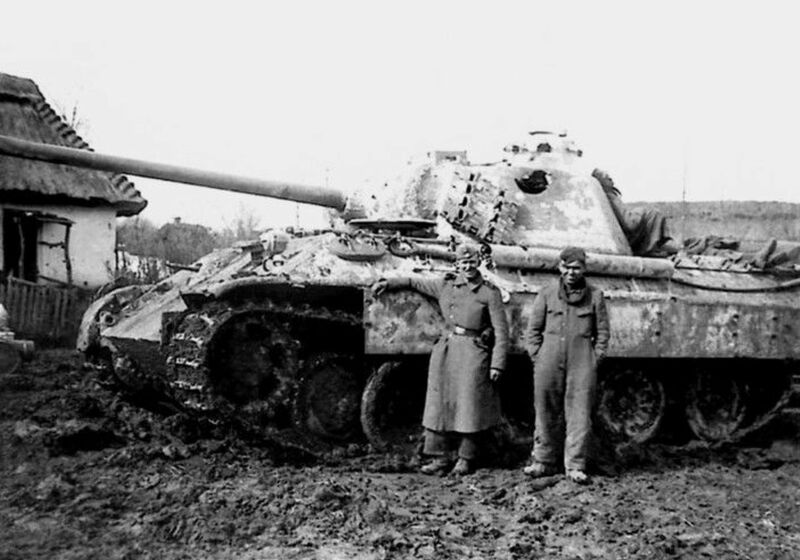 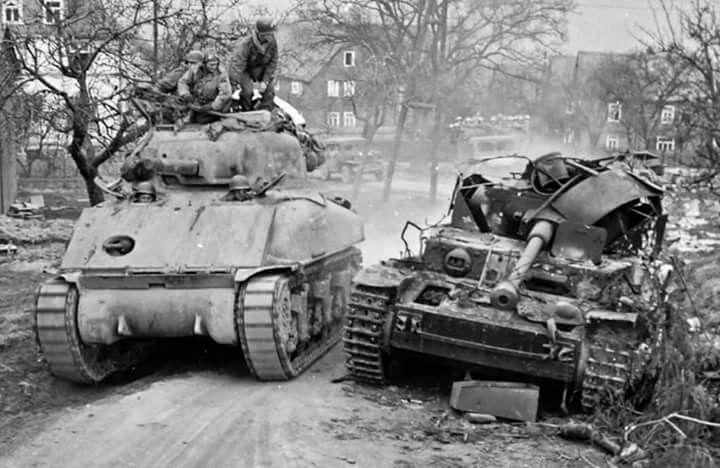 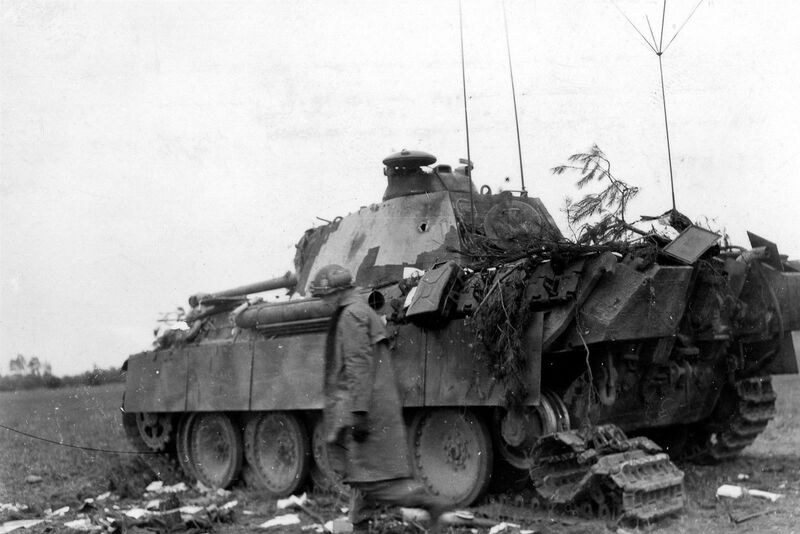 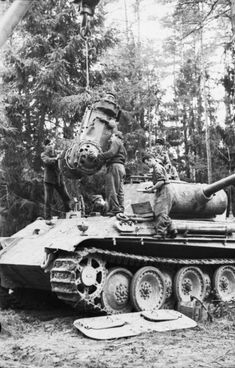 After the match, one of 654 Jagdpanther Tank Battalion of Hunters and M36, KaimigGinsterhain destroyed near the March 13, 1945. 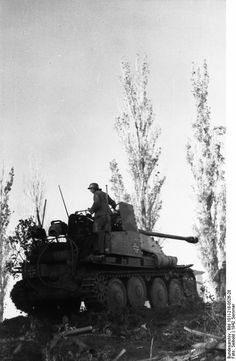 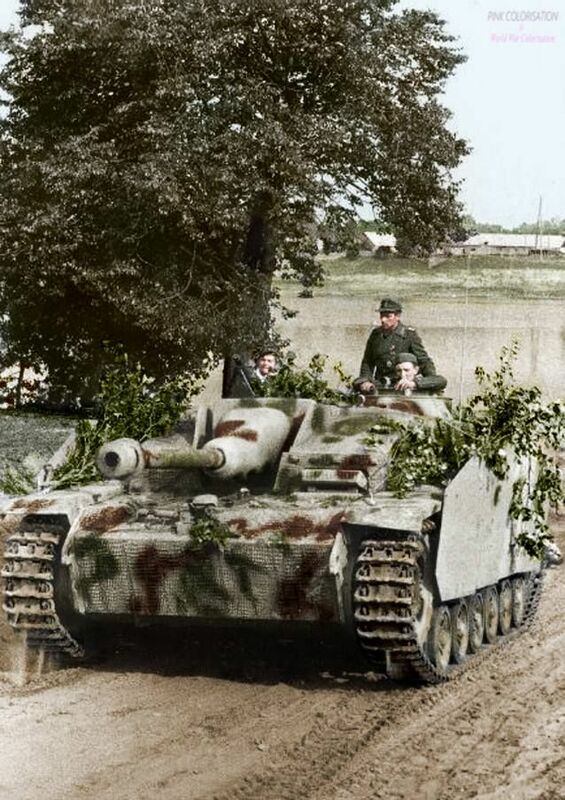 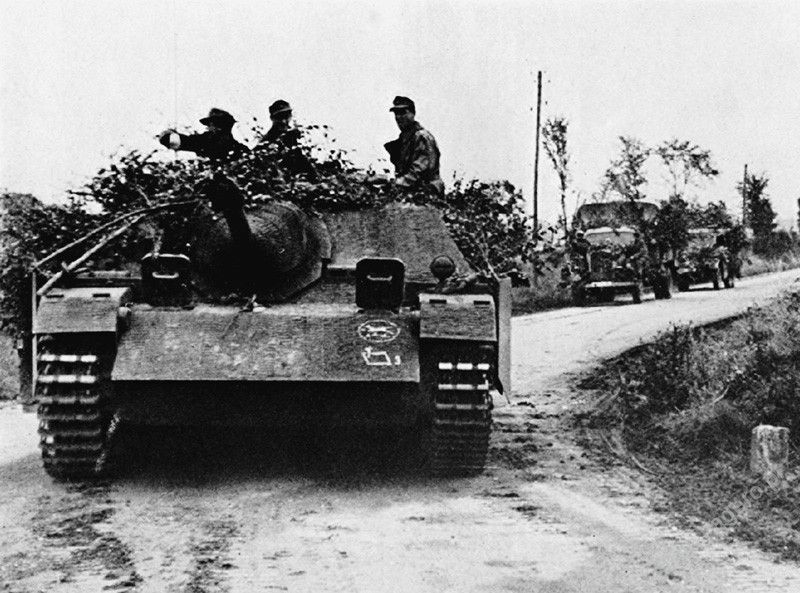 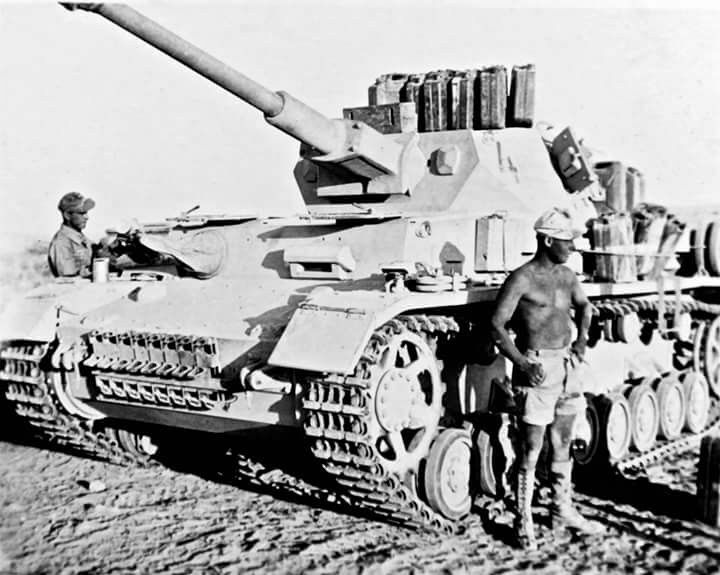 Marder III tank destroyer near Stalingrad, Russia, summer 1942 Photographer Seibold Source German Federal Archive Identification Code Bild Added By C.
The German ability to improvise a Tank destroyer on a french tank chassis. 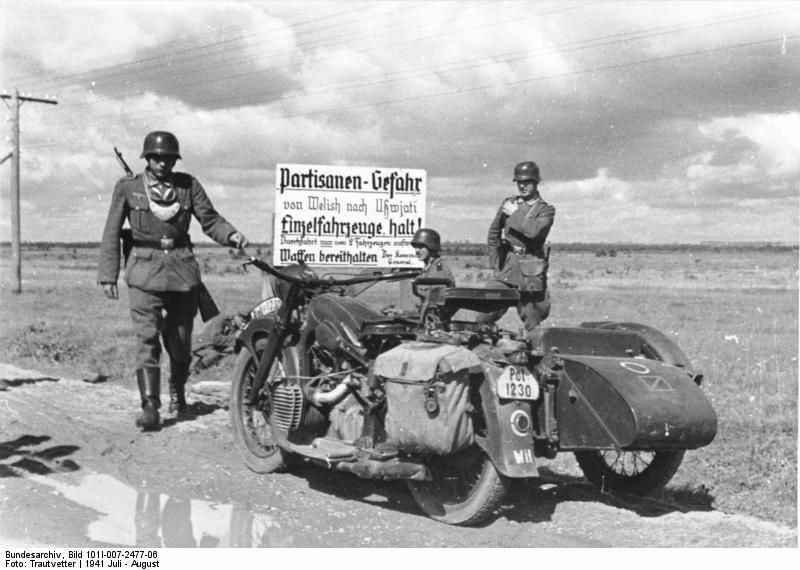 Luftwaffe captured S.A.S. 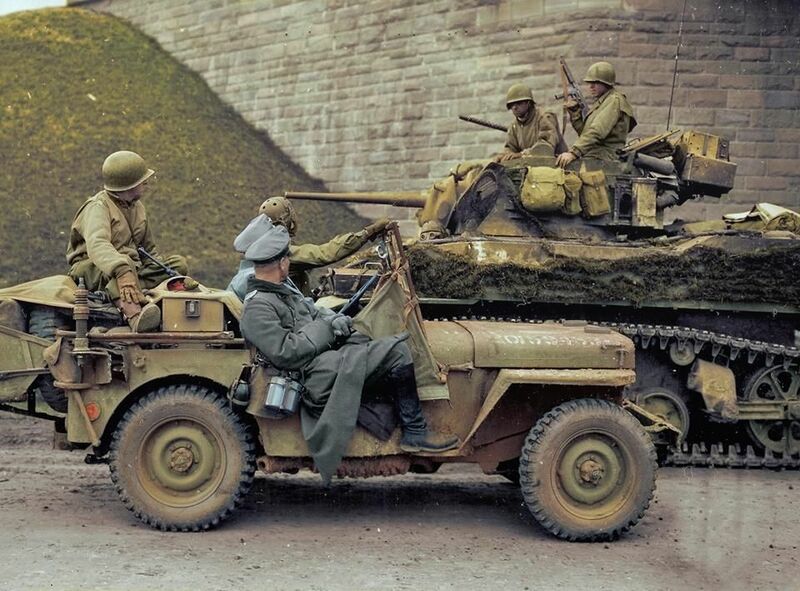 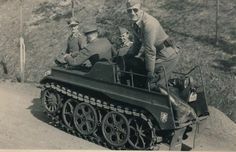 Jeep, an Opel Blitz Funkkraftwagen (Kfz. 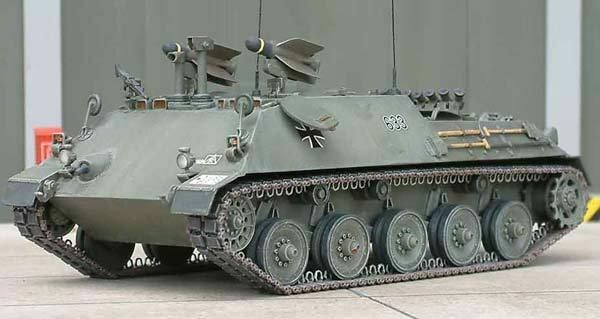 305/16) behind it. 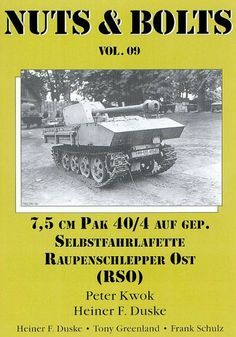 Jagdpanzer IV L / 48 de 3. 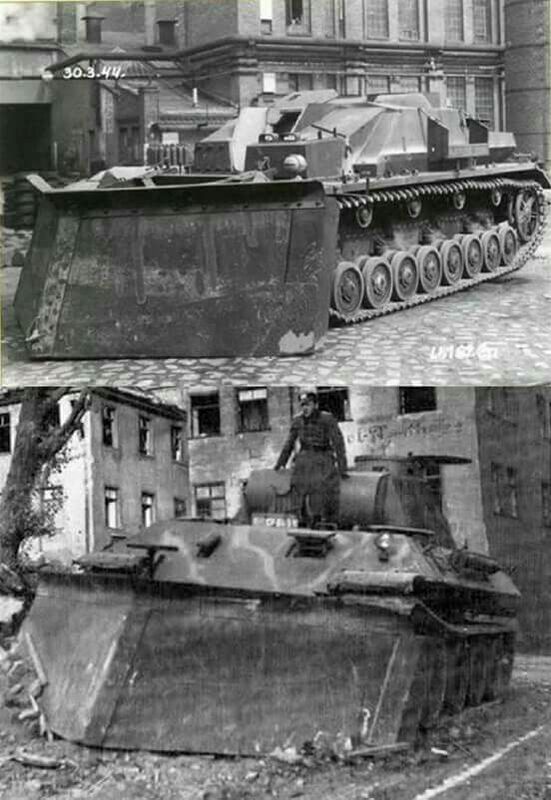 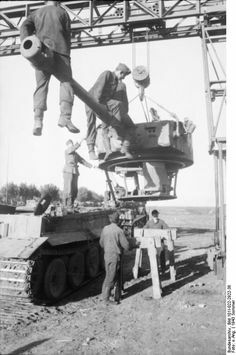 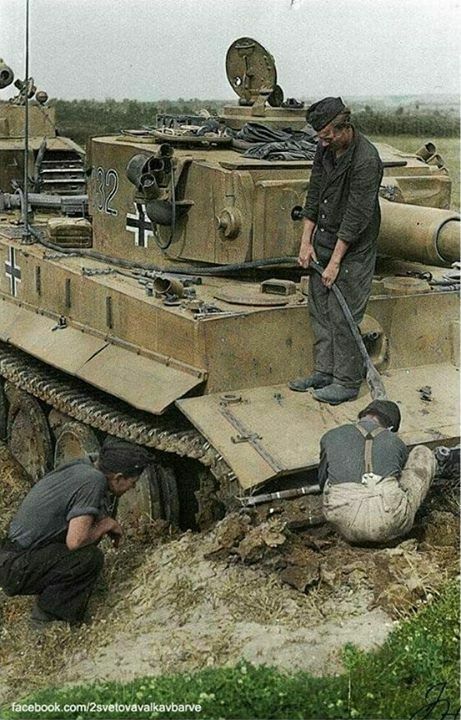 Kompanie, Panzerjäger-Abteilung 228, 116. 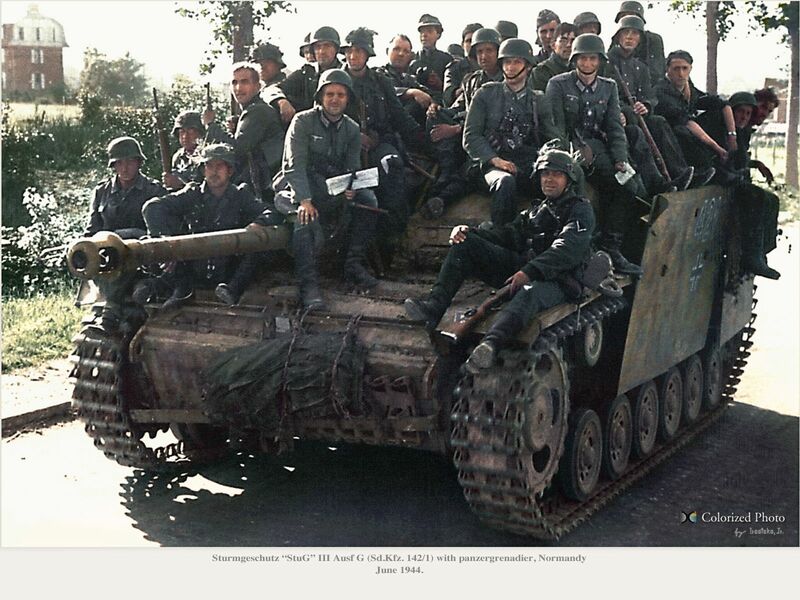 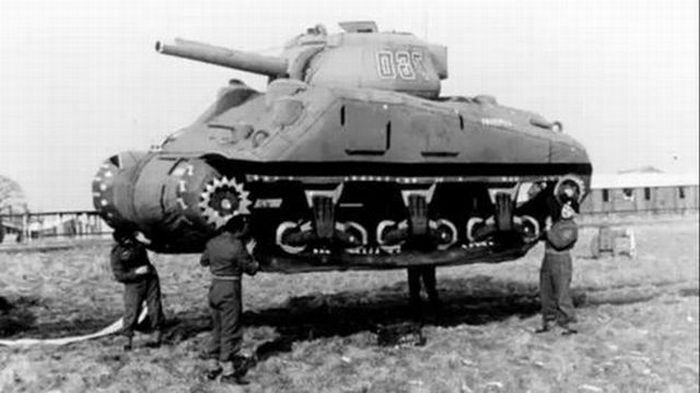 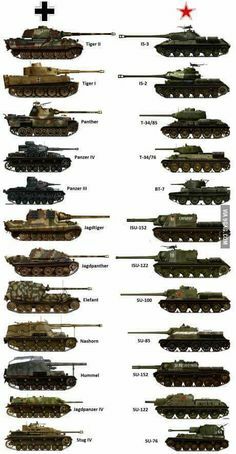 Panzer-Division, luciendo marca distintiva táctico. 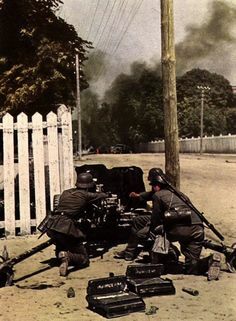 Normandía, el verano de 1944. 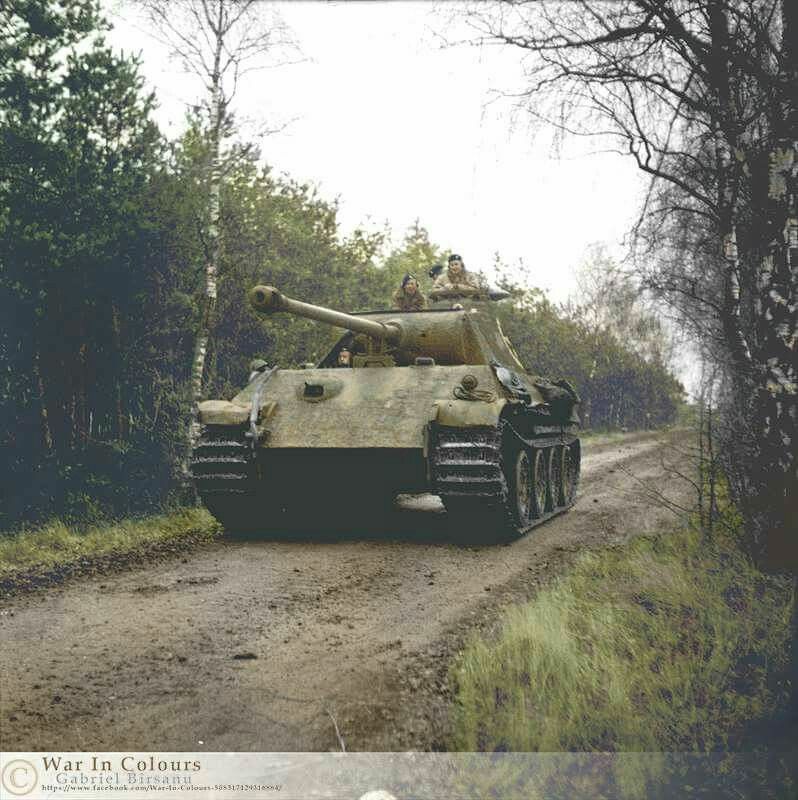 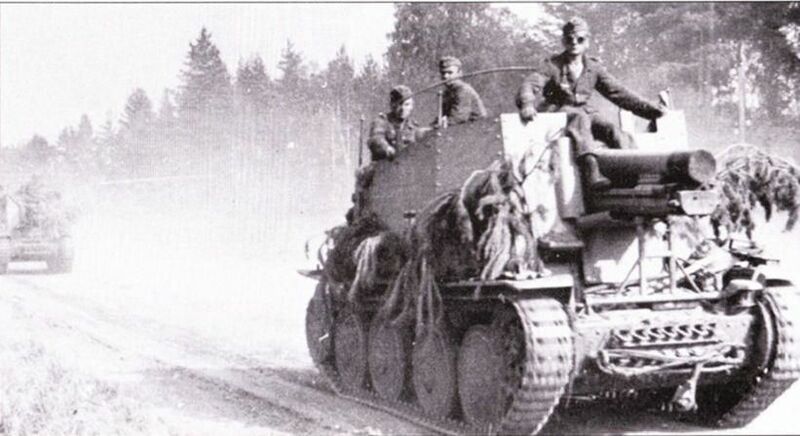 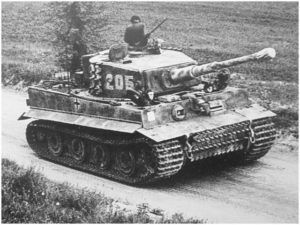 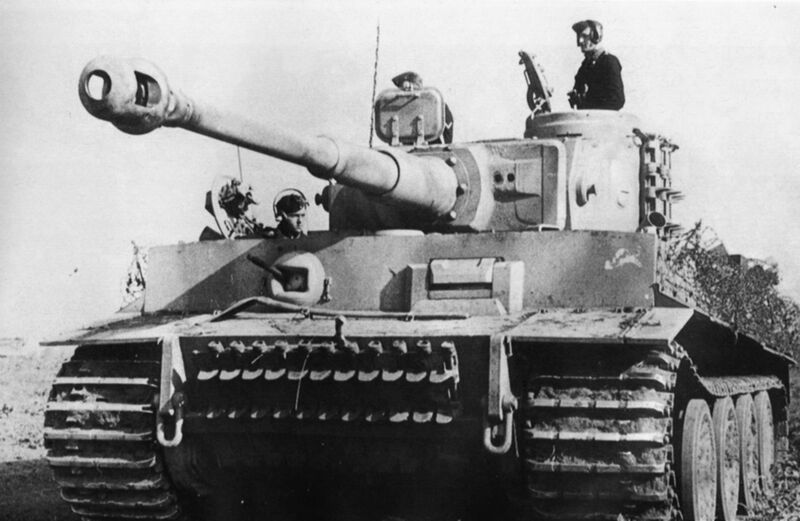 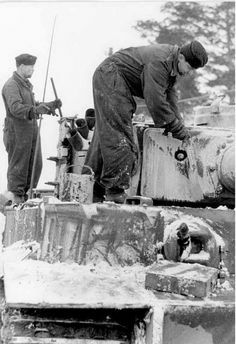 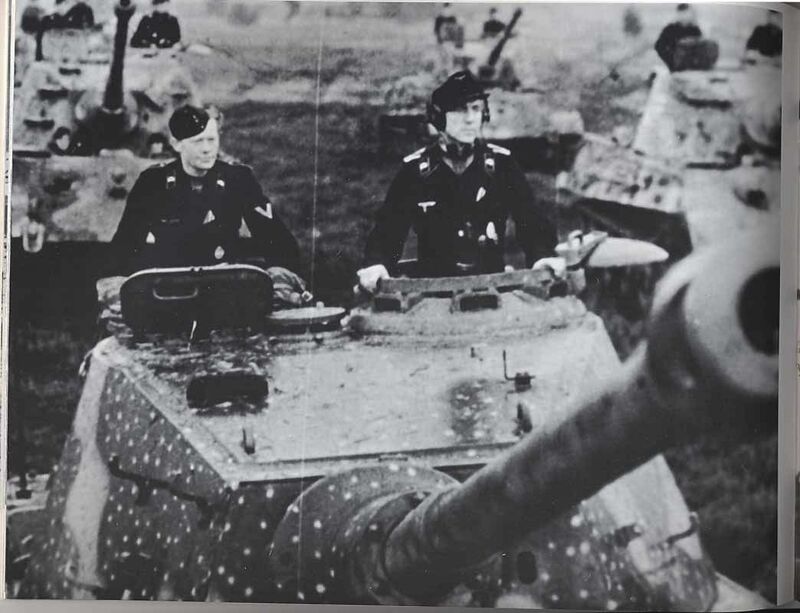 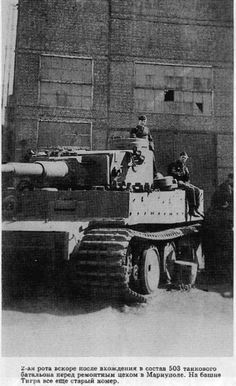 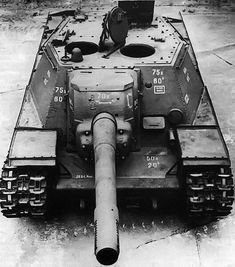 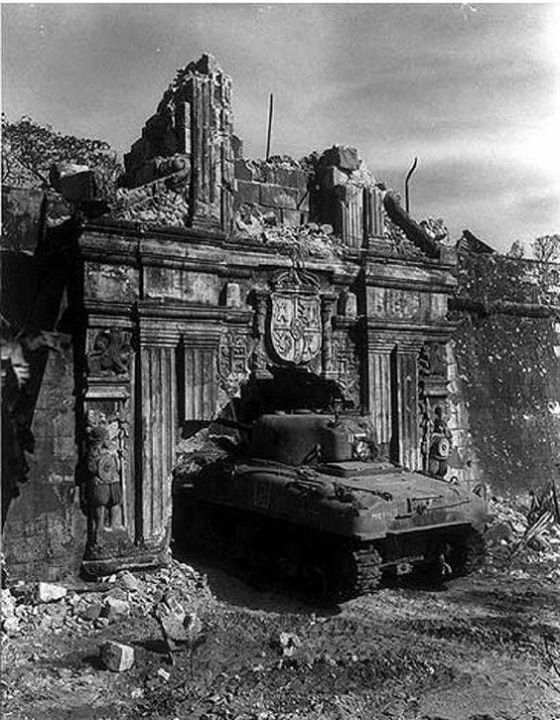 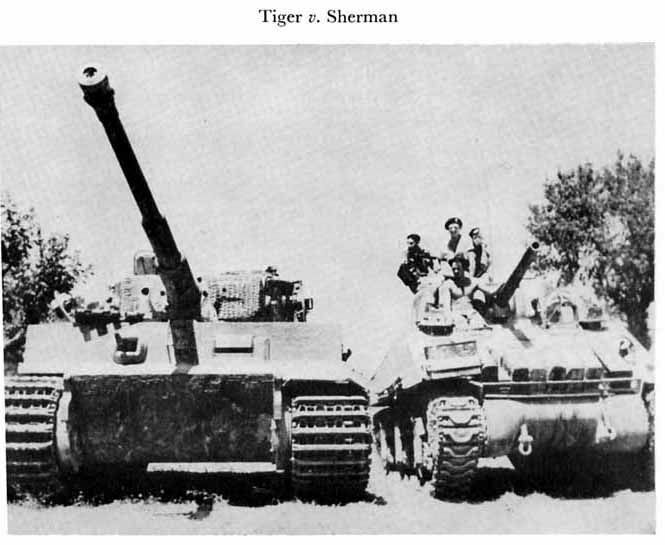 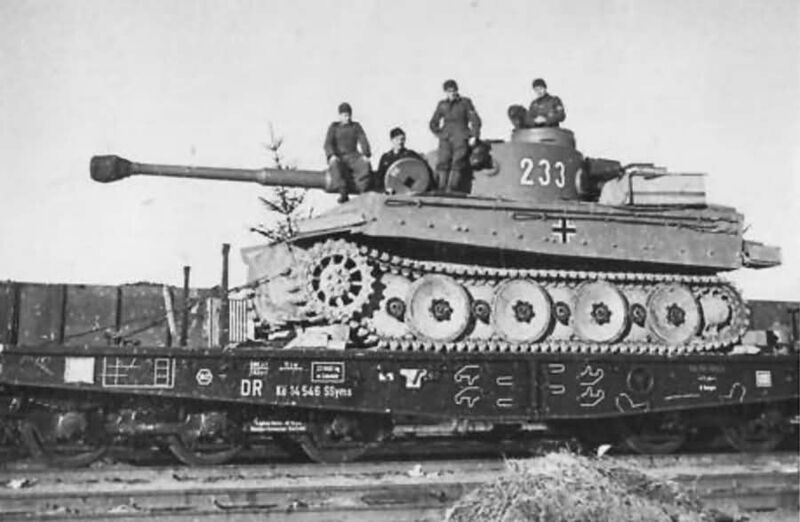 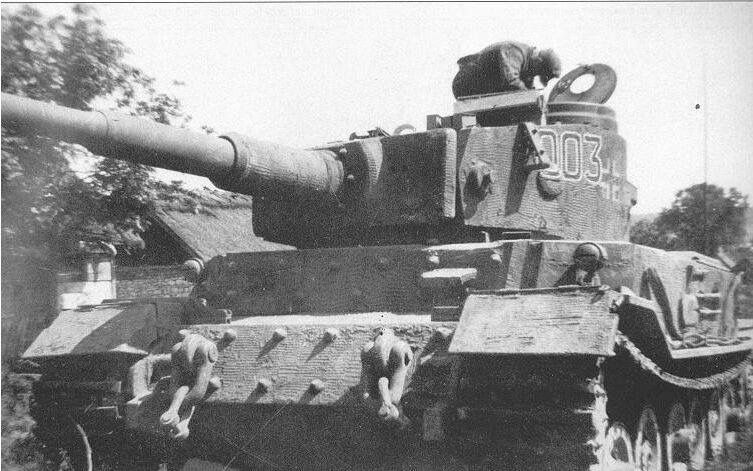 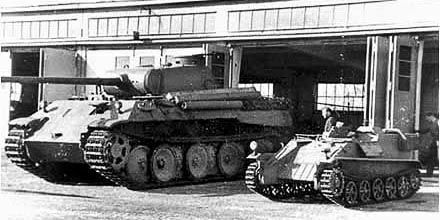 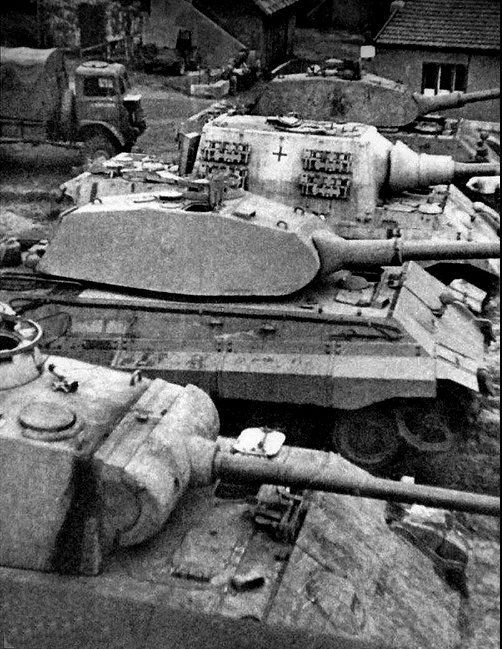 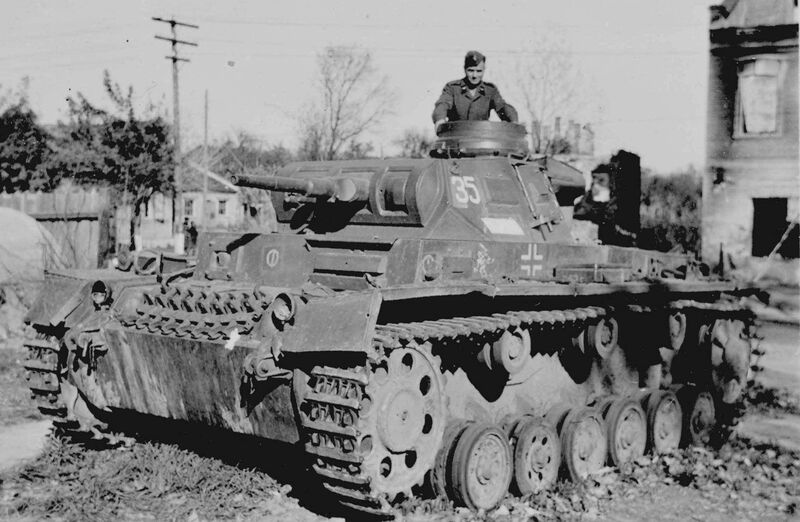 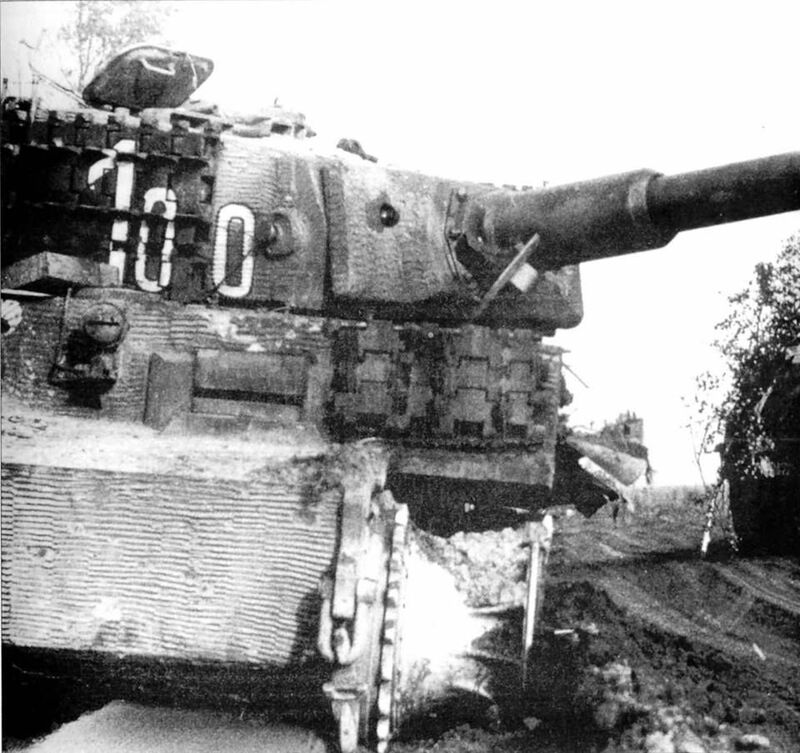 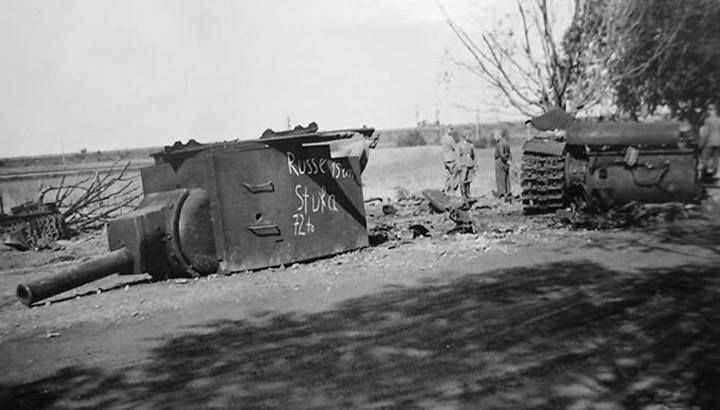 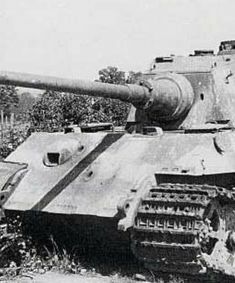 German Tiger I heavy tank near Leningrad Russia c. 1943. 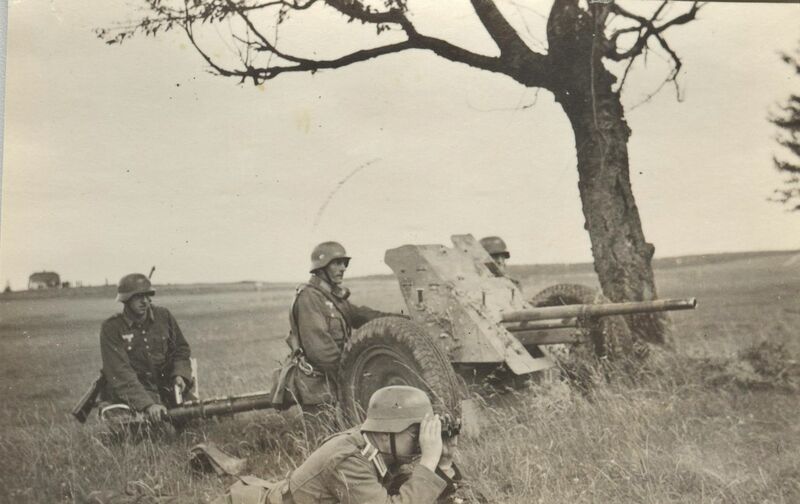 Photo: Bundesarchiv . 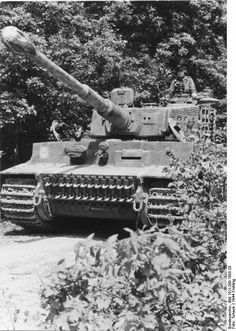 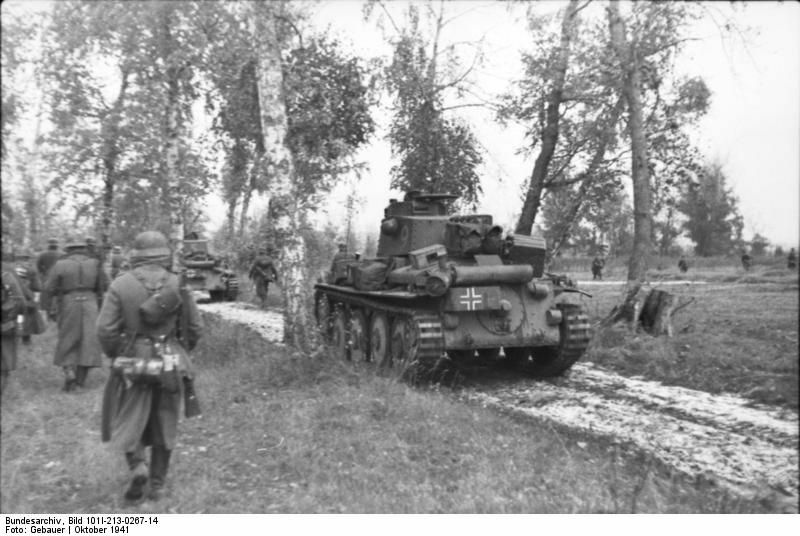 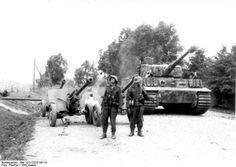 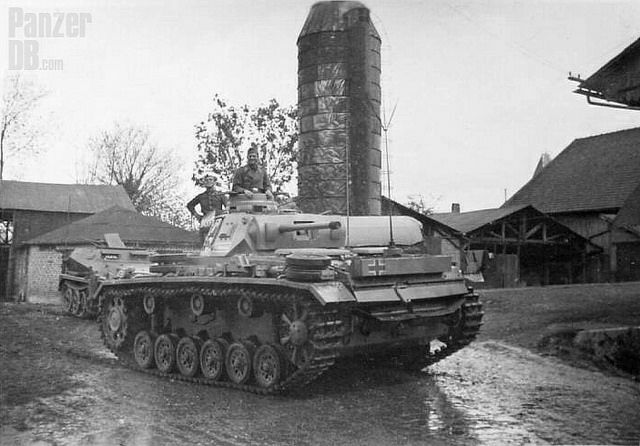 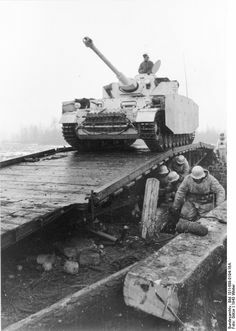 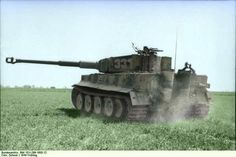 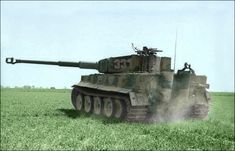 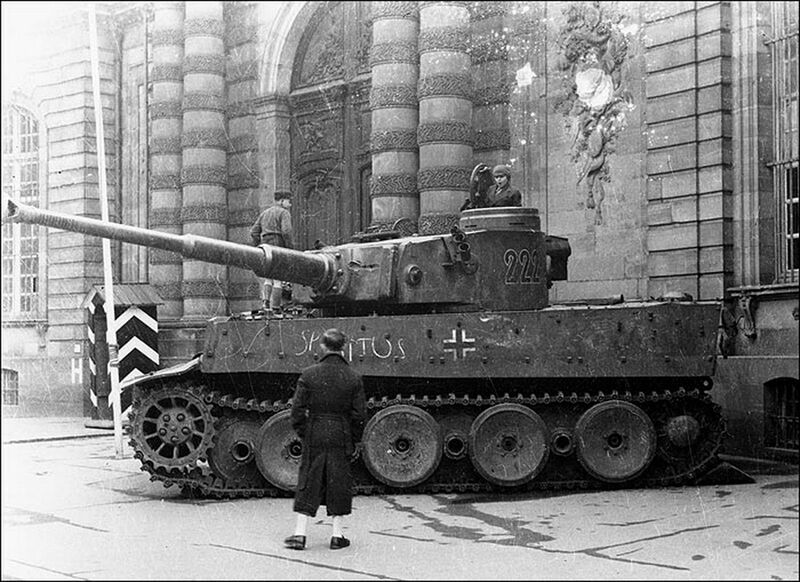 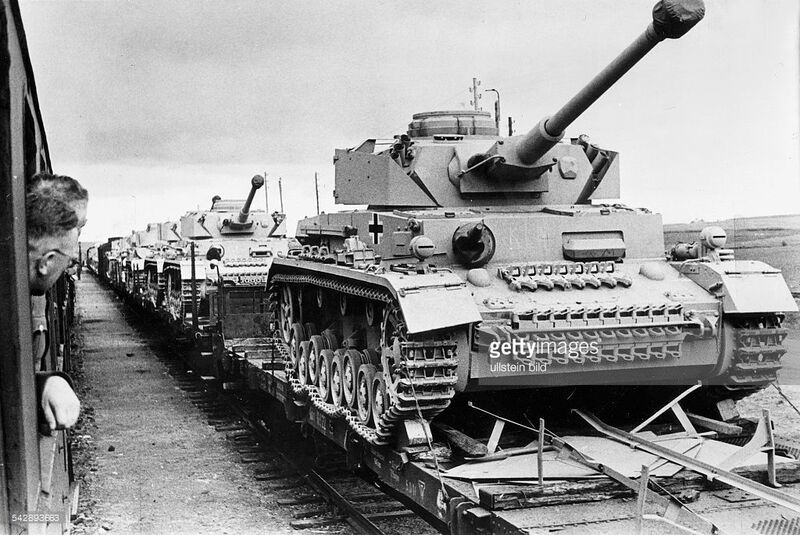 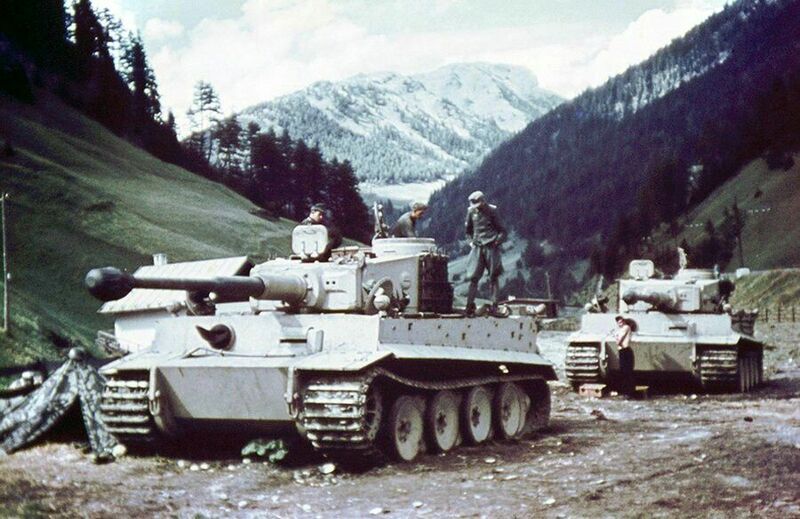 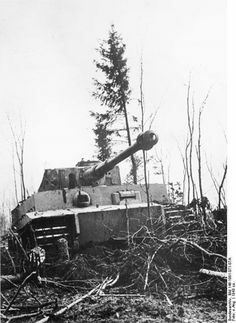 Bundesarchiv Bild Nordfrankreich, Panzer VI (Tiger I). 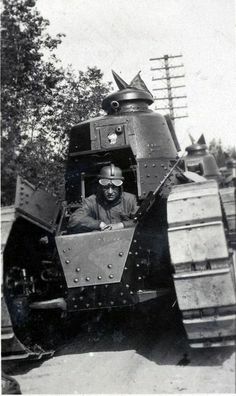 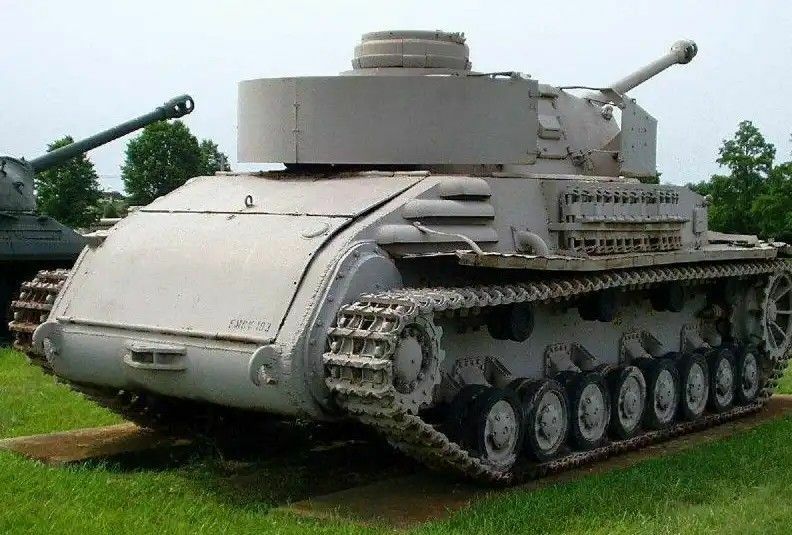 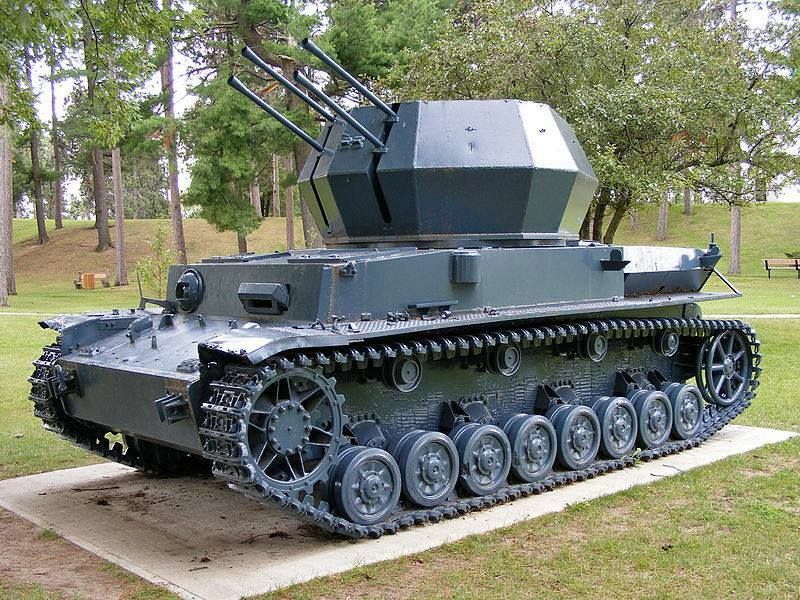 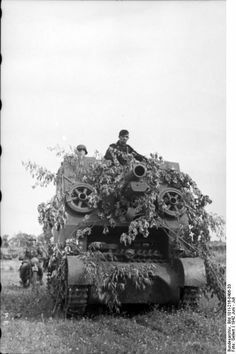 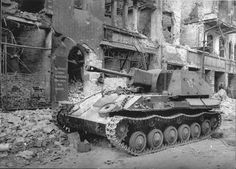 Panzerkampfwagen III (5 cm Kw.K. 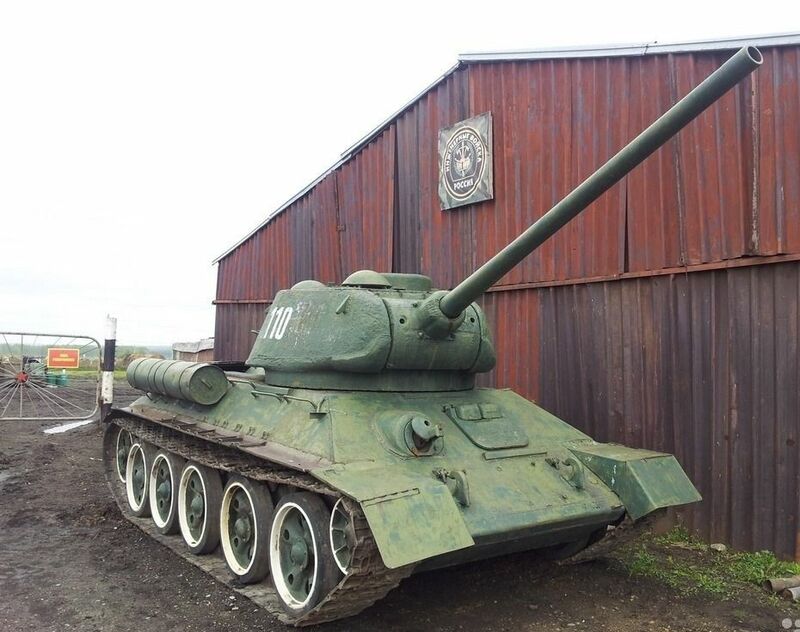 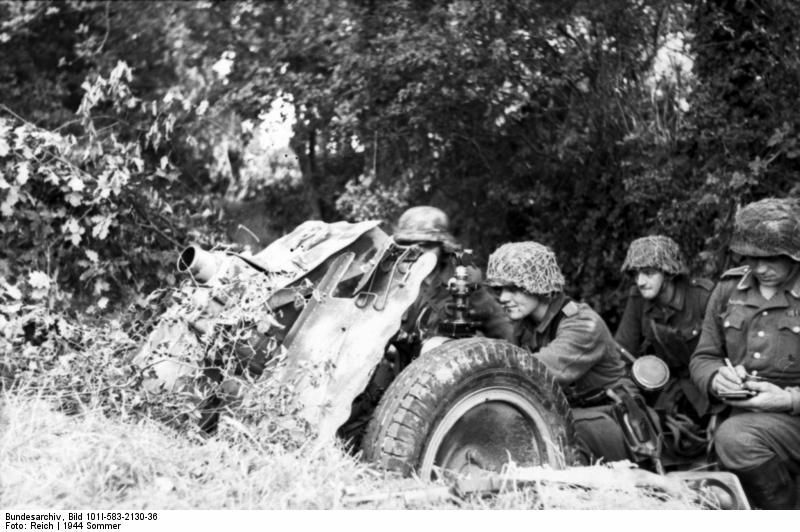 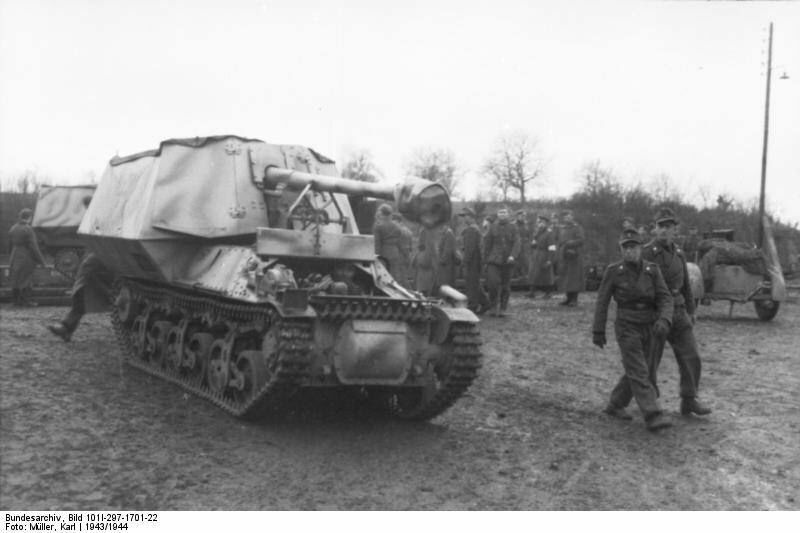 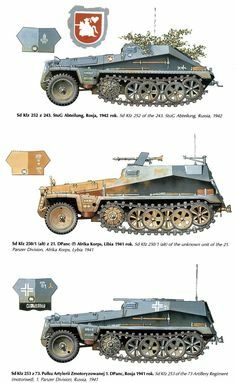 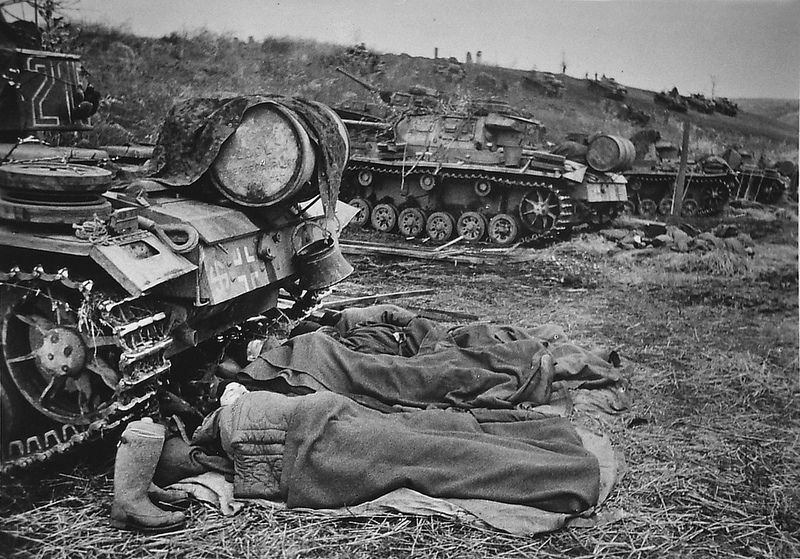 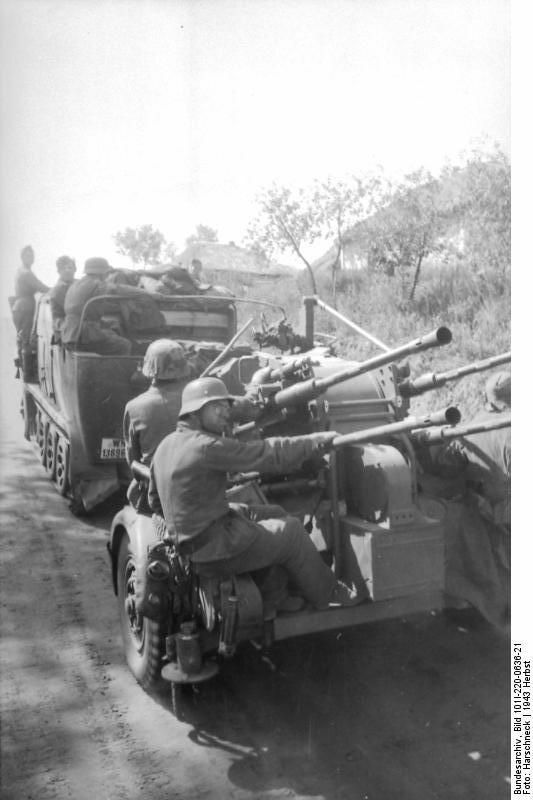 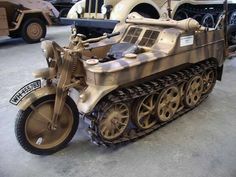 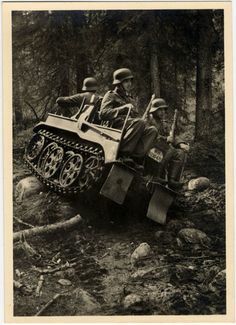 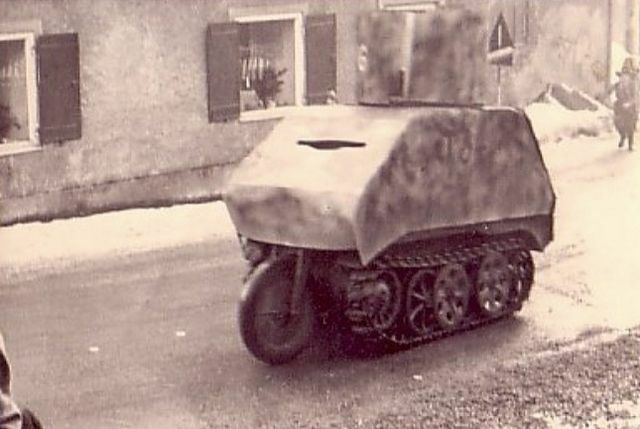 L/42) Ausf. 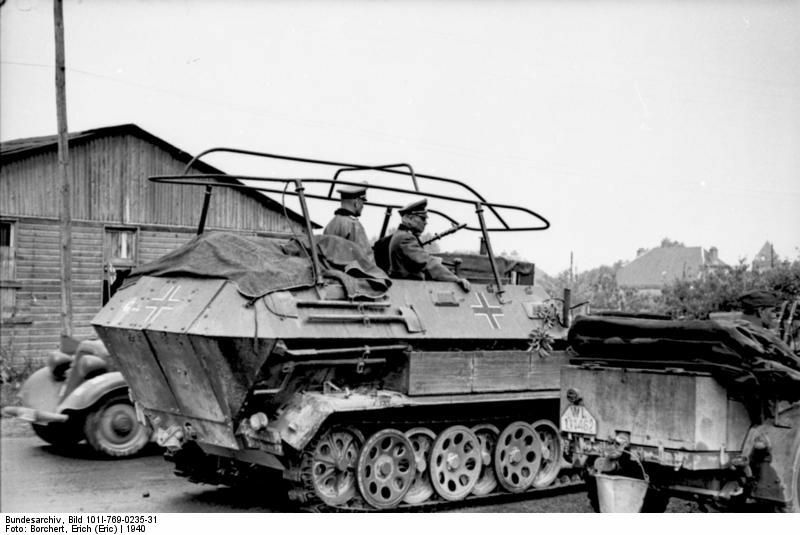 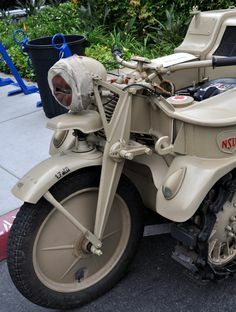 J (Sd.Kfz. 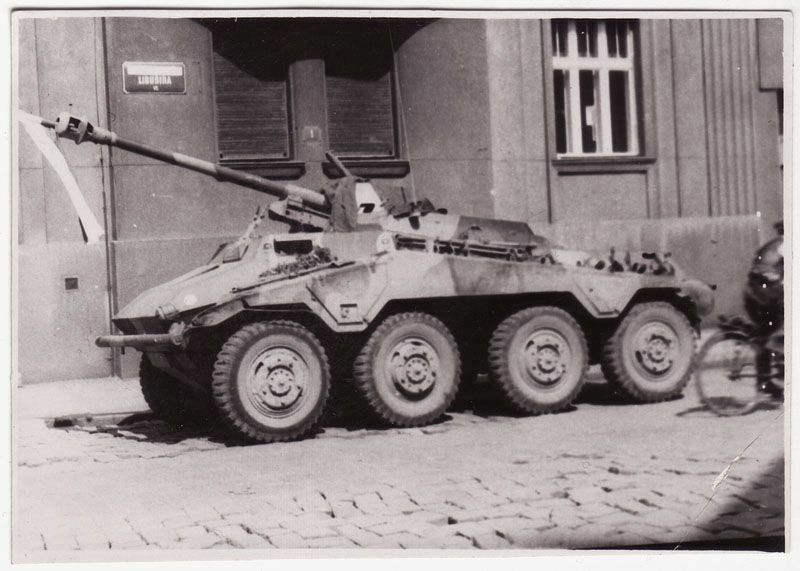 141) Nr. 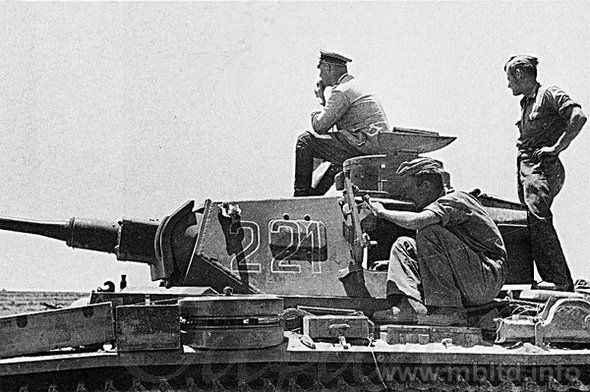 221/ Erwin Rommel standing on a Panzer III Ausf. 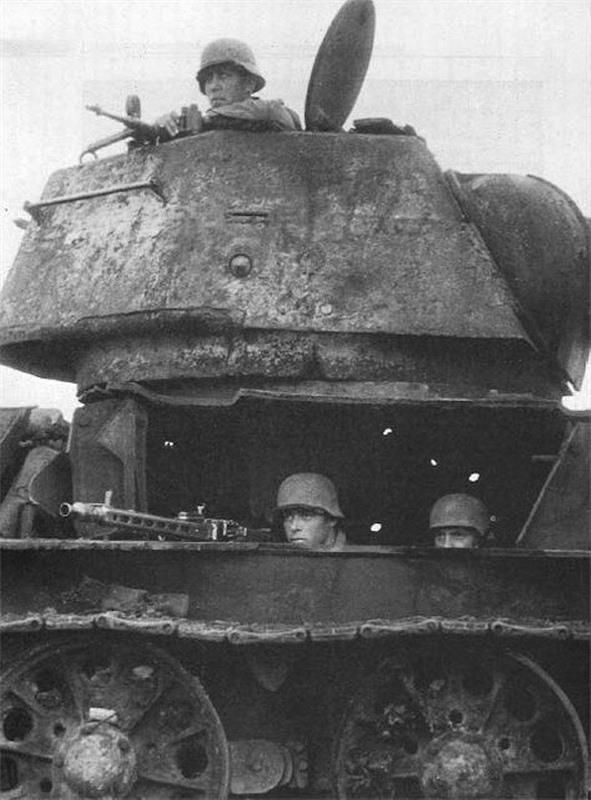 J turret. 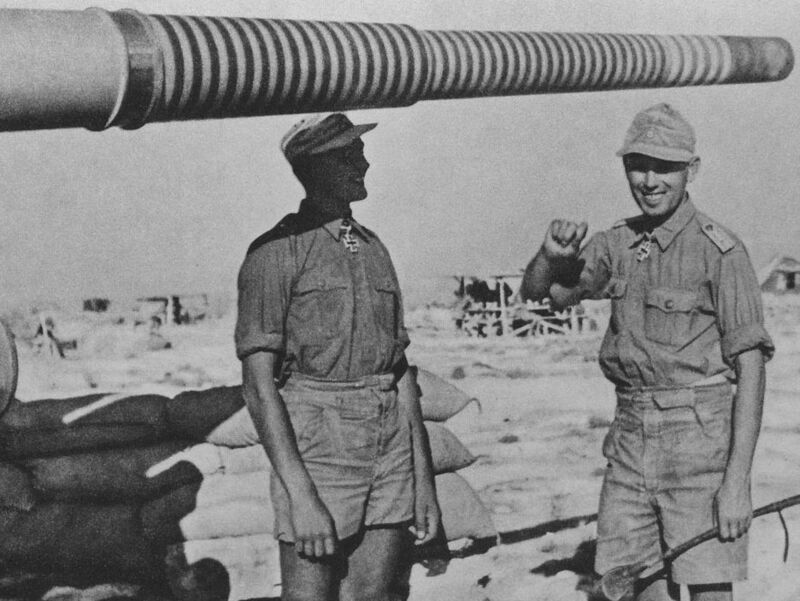 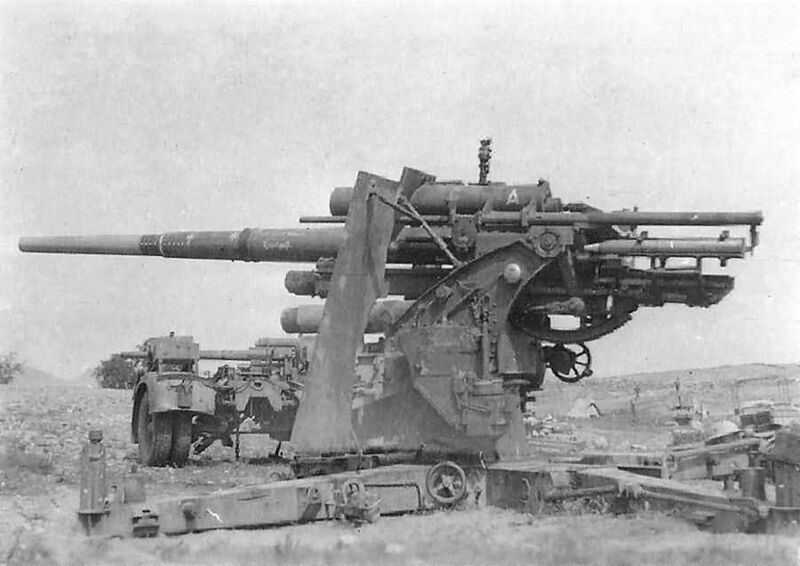 The famous (or infamous) Flak 88 AA gun that was often deployed in an antitank and anti-fortification role to the grief of the opponent. 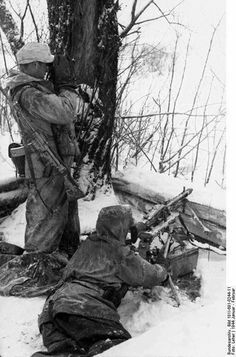 German MG42 machine gun crew in Russia January 1944. 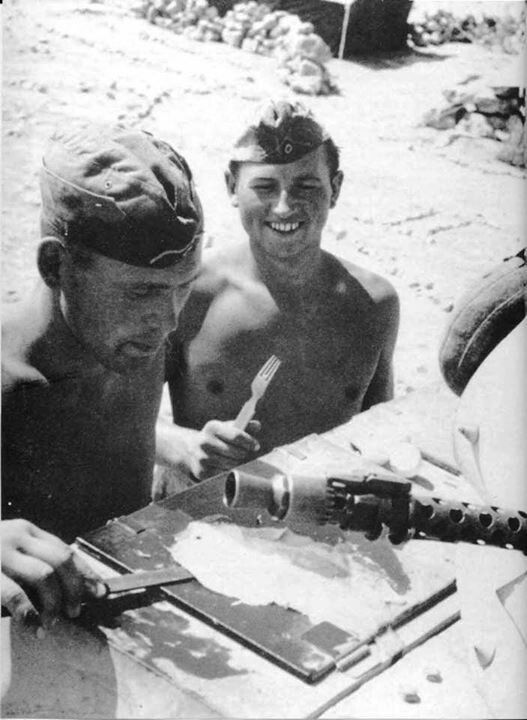 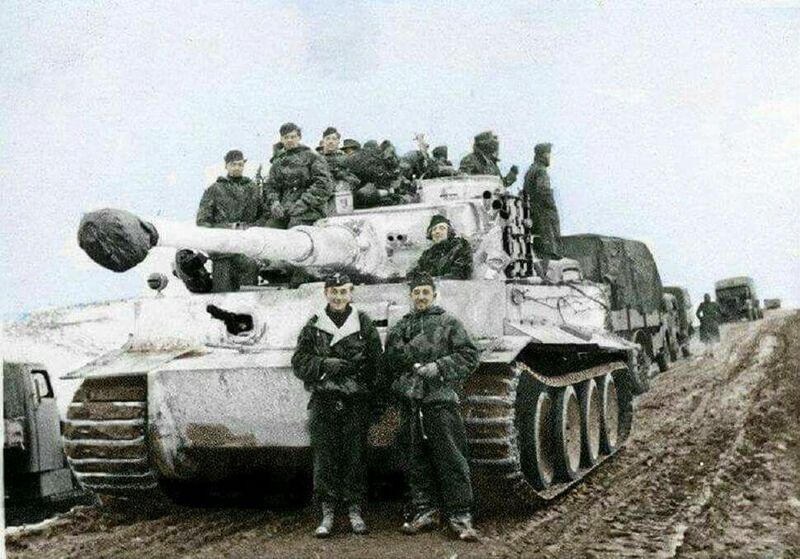 Note Sturmgewehr 44 assault rifle. 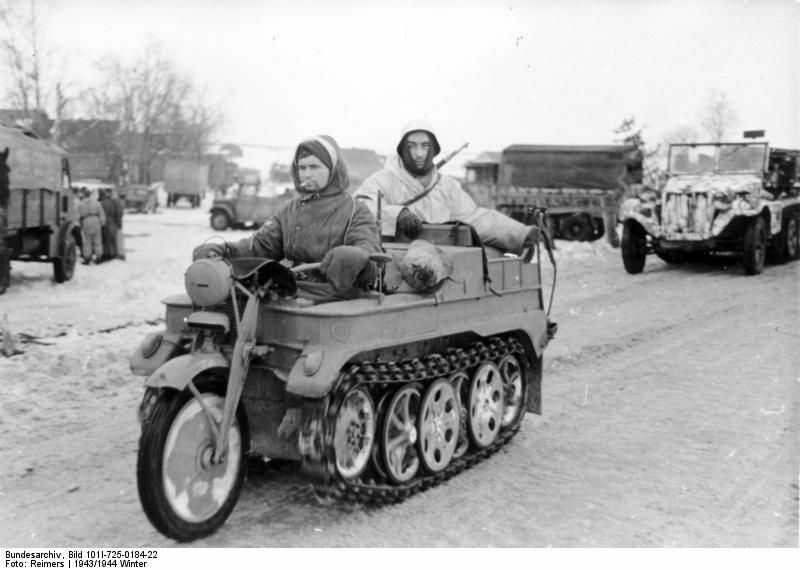 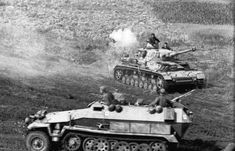 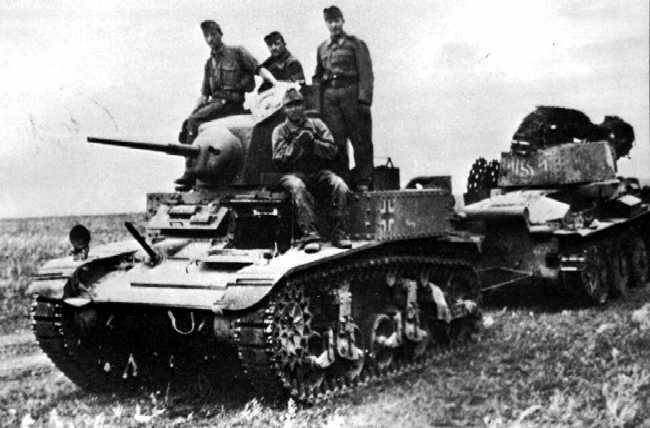 The Eastern Front: Barbarossa. 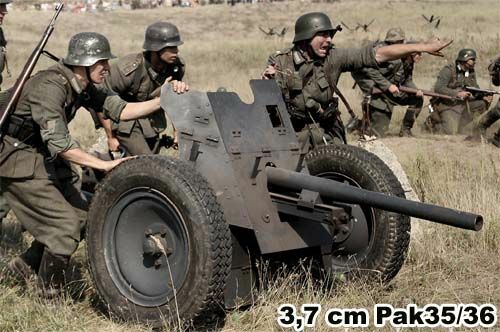 Stalingrad. 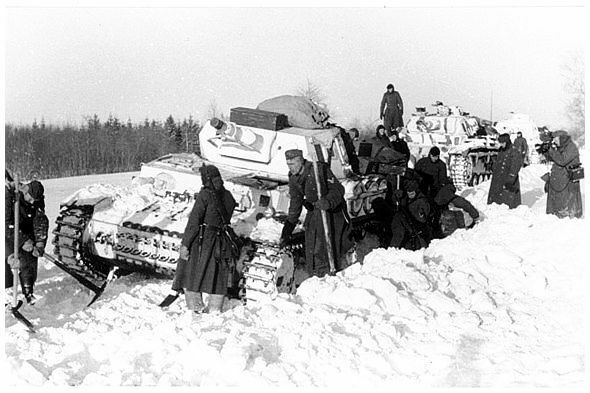 December 1941. 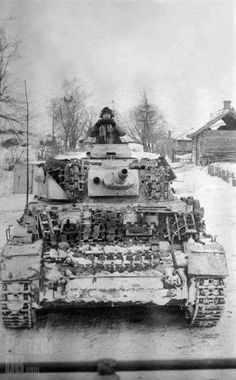 A German tank stuck in the Russian snow. 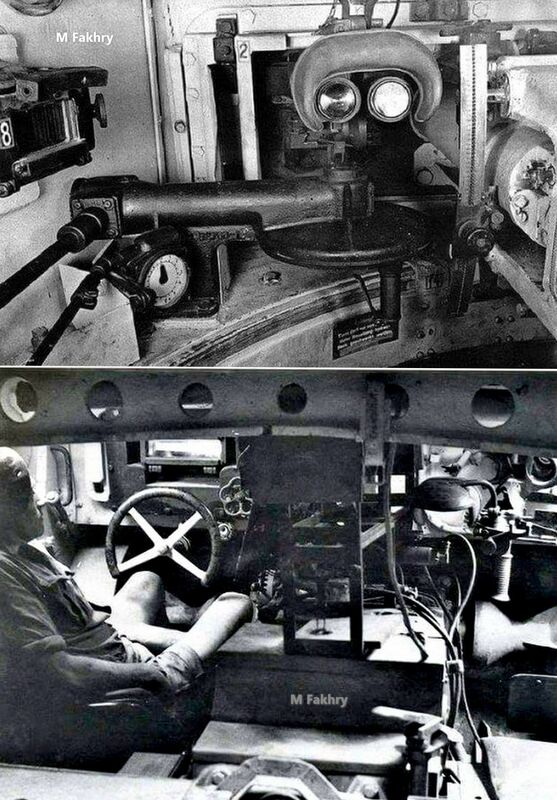 Inside a Panzerkampfwagen VI Tiger Ausführung E.
Sd.Kfz. 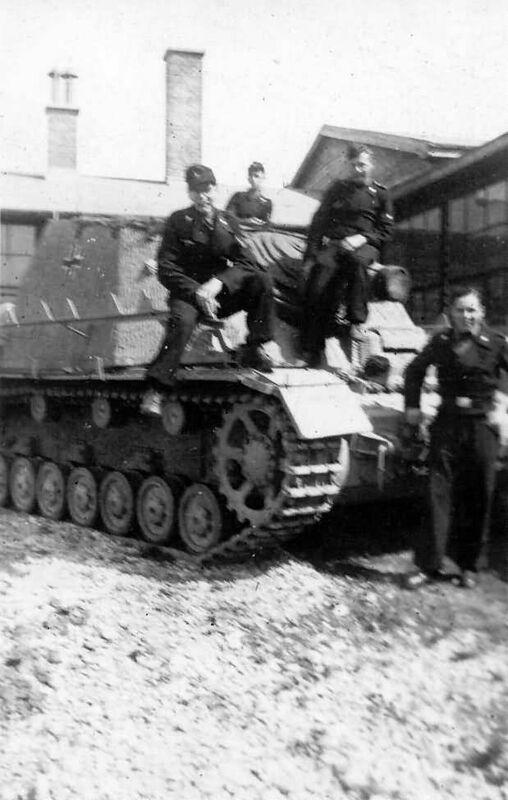 Marder III Ausf. 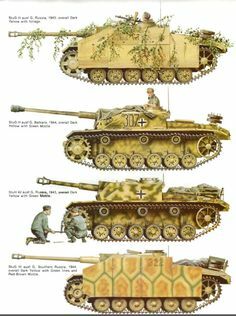 M (116. 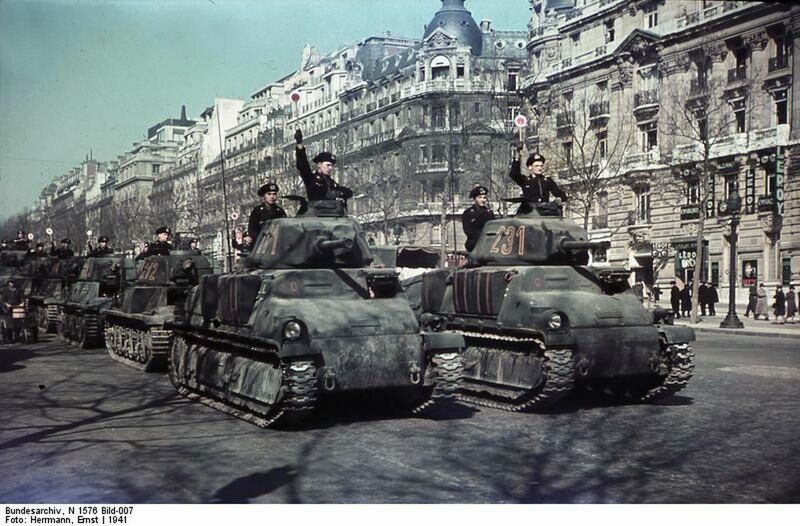 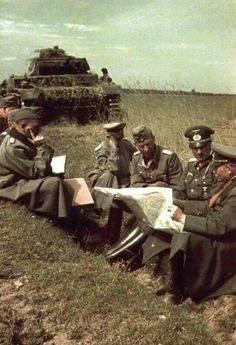 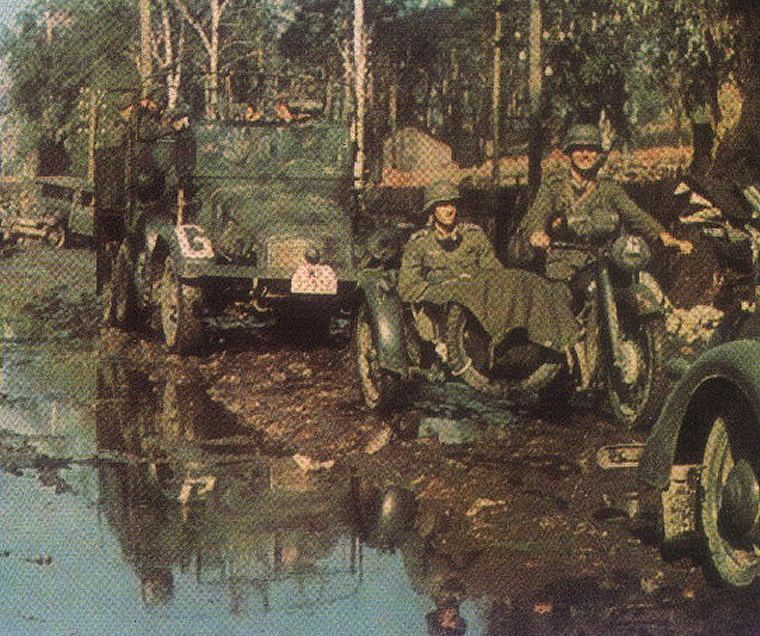 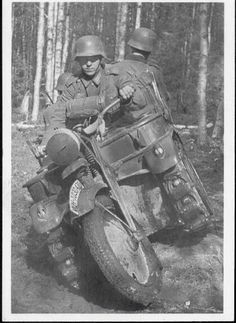 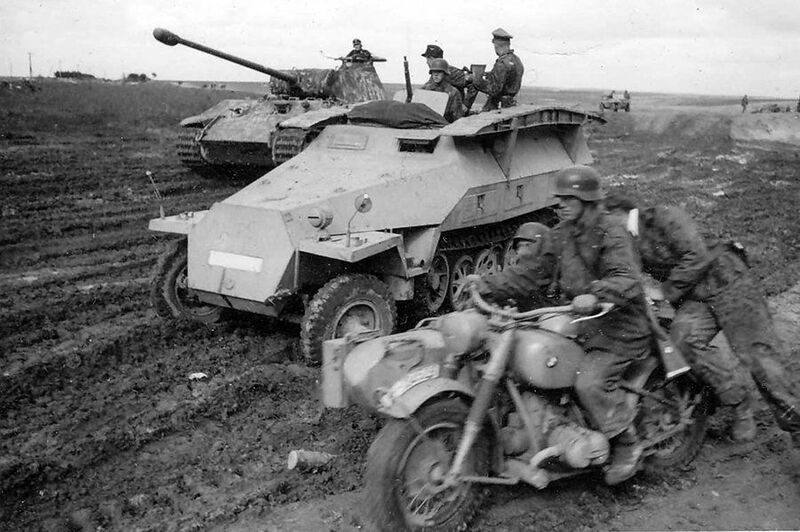 Panzer Division “Der Windhund”) moving through N.France. 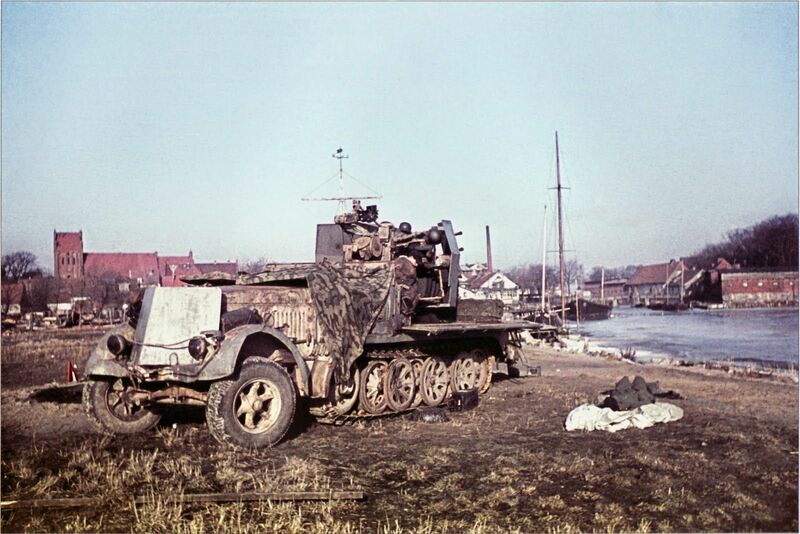 1944. 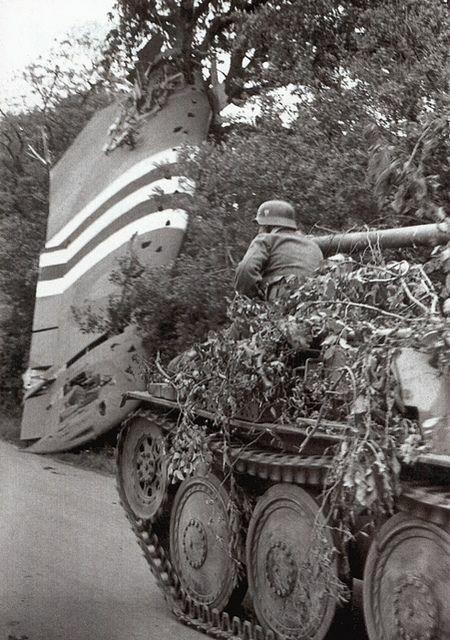 *Note the downed Allied glider wing on top of the hedgerow. 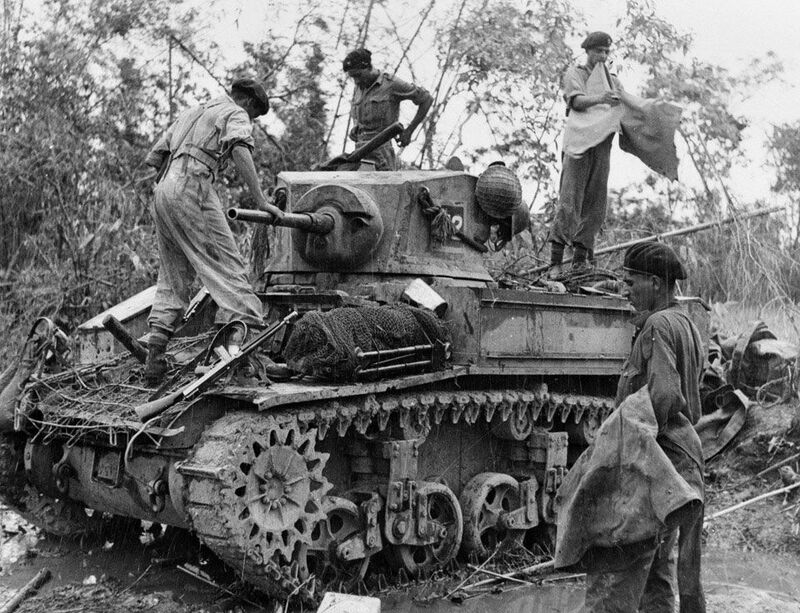 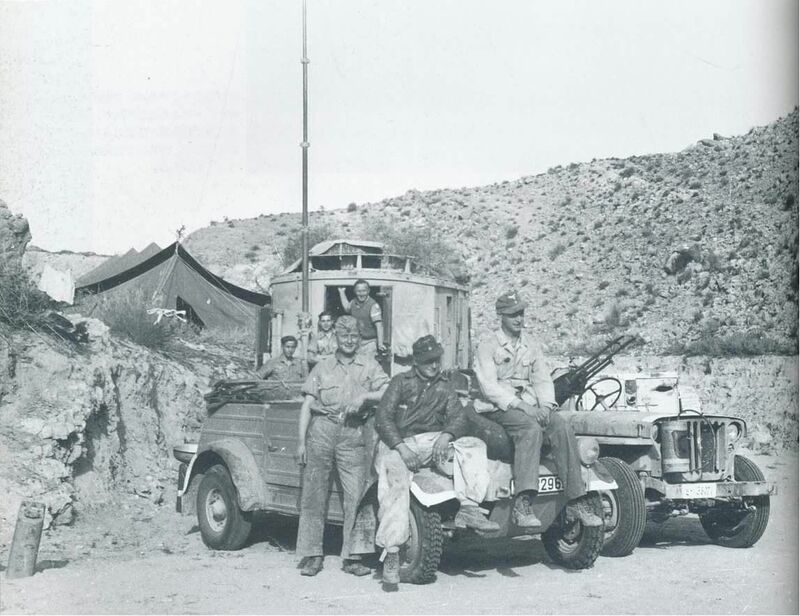 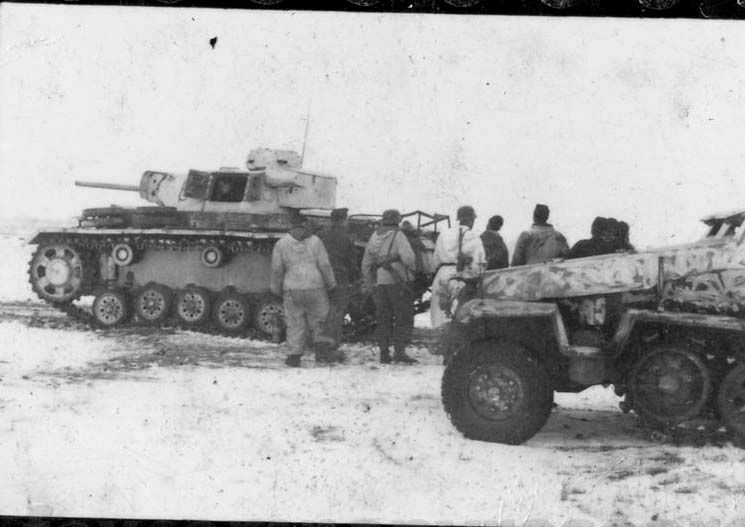 North Africa, Tunesia, Sidi Nsia January 1943. 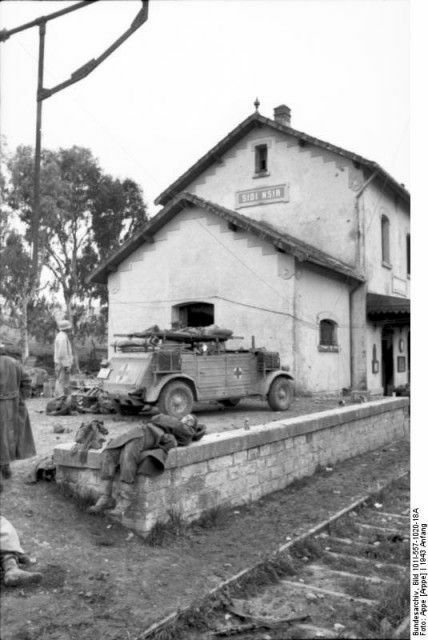 German Soldiers at a railway station in use as an aid station for wounded prisoners of war. 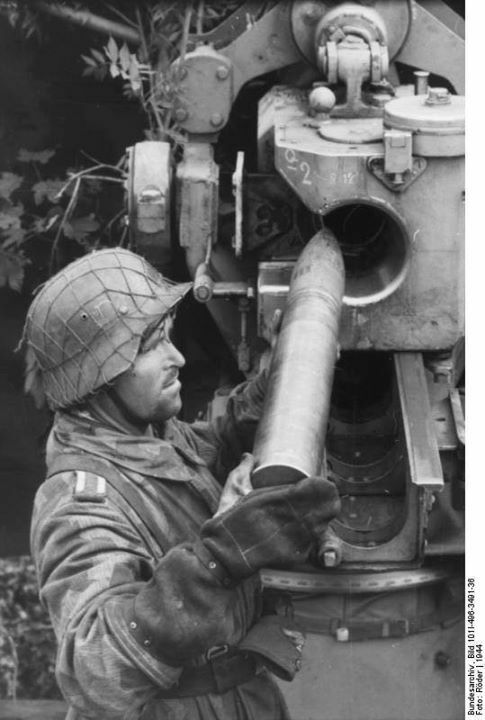 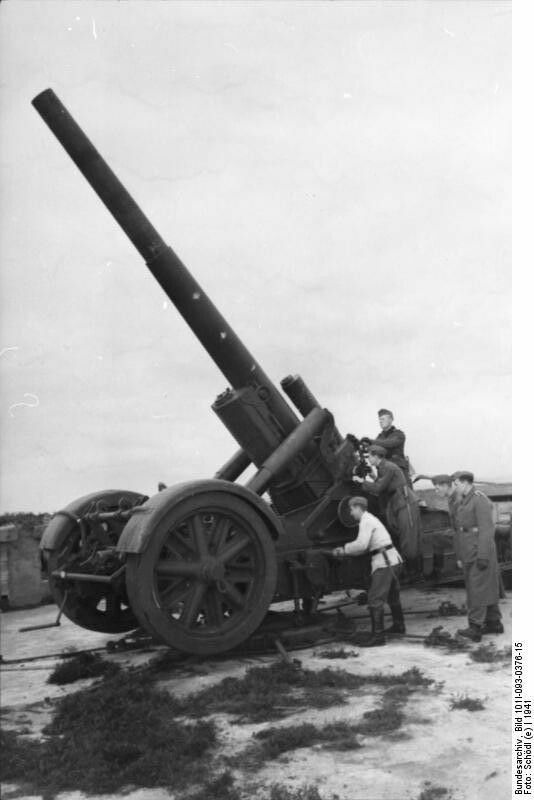 German soldier loading a shell into an 8.8 cm FlaK gun France 1944. 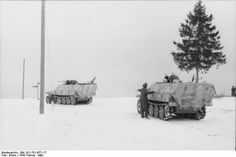 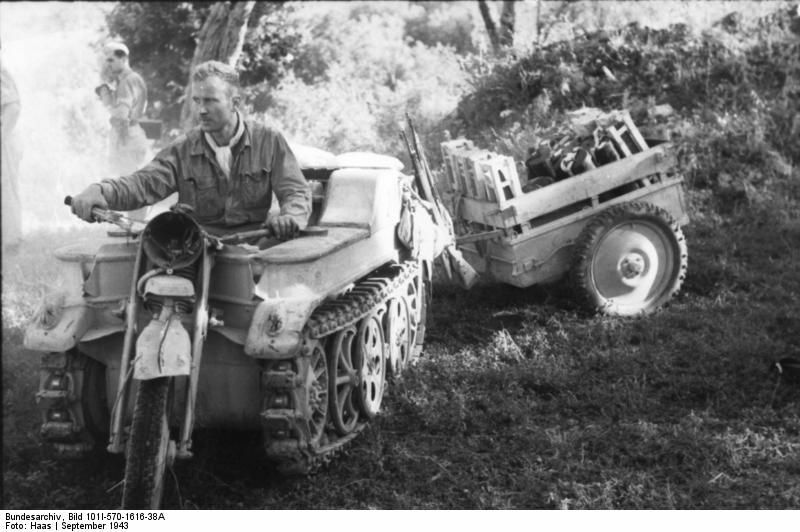 Photo: Bundesarchiv Bild 101I-496-3491-36 Röder. 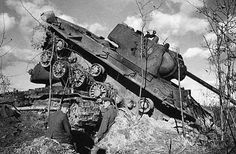 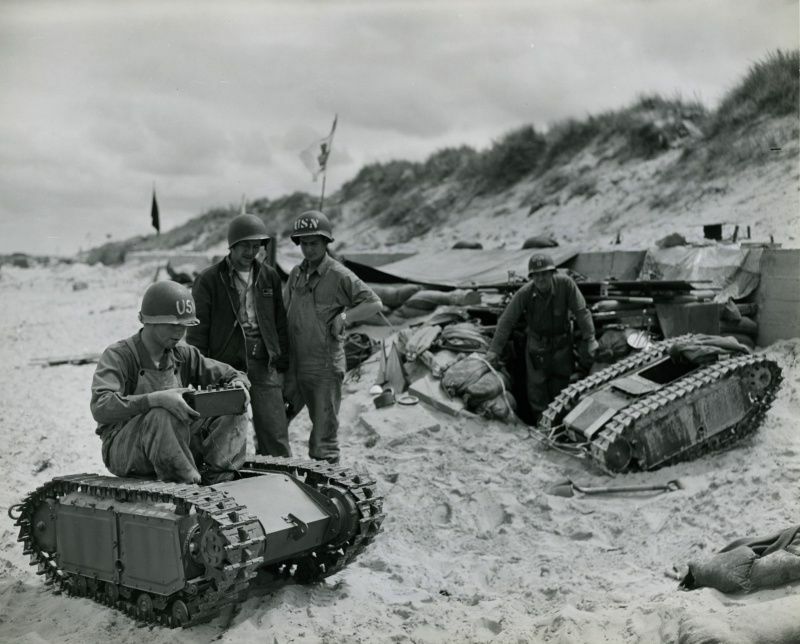 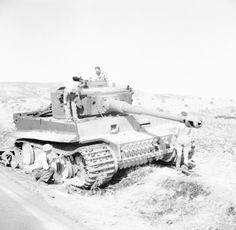 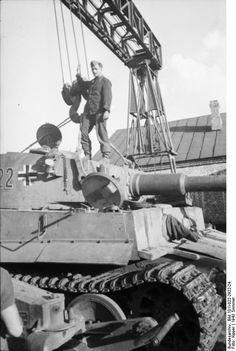 Two Knight's Cross holders stand beneath the barrel of a tank. 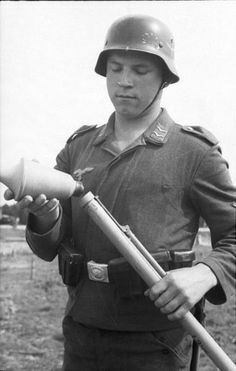 Look at the stripes on the barrel, each standing for individual kills! 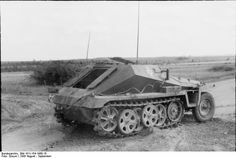 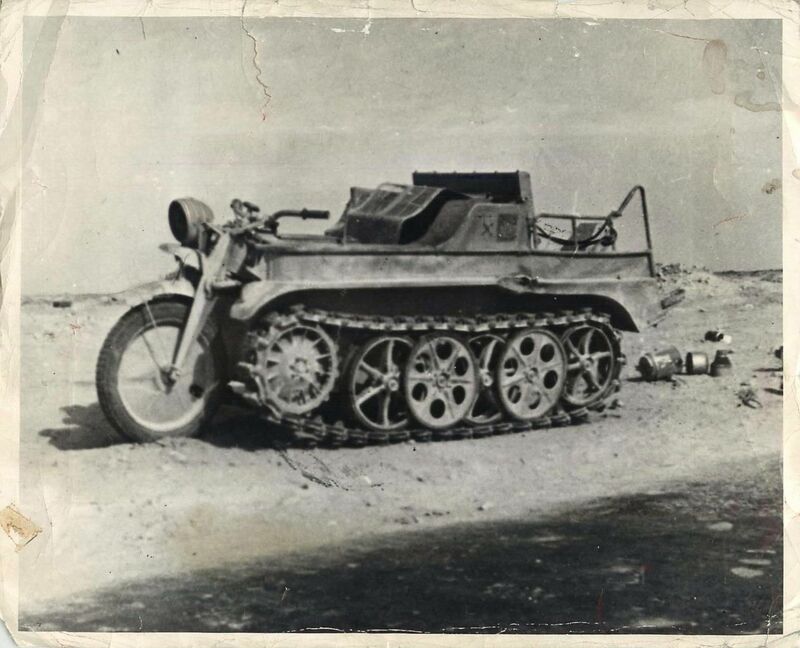 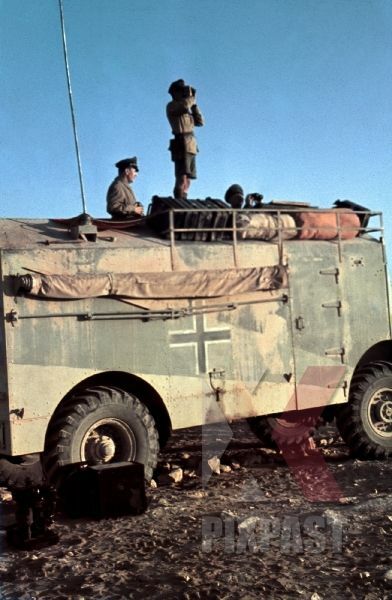 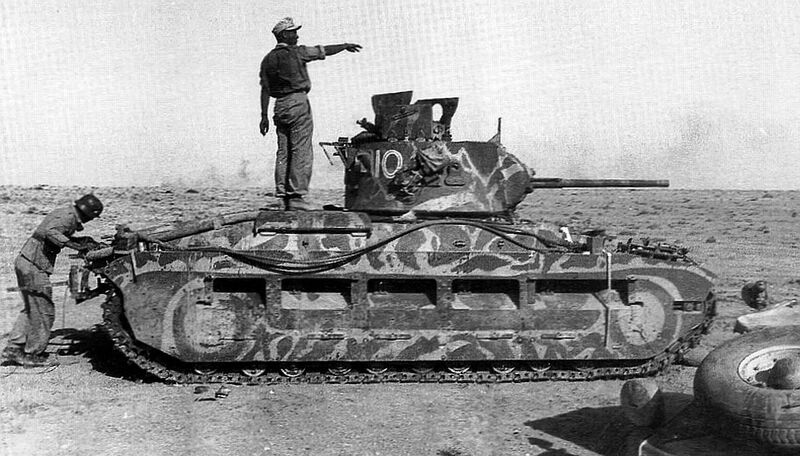 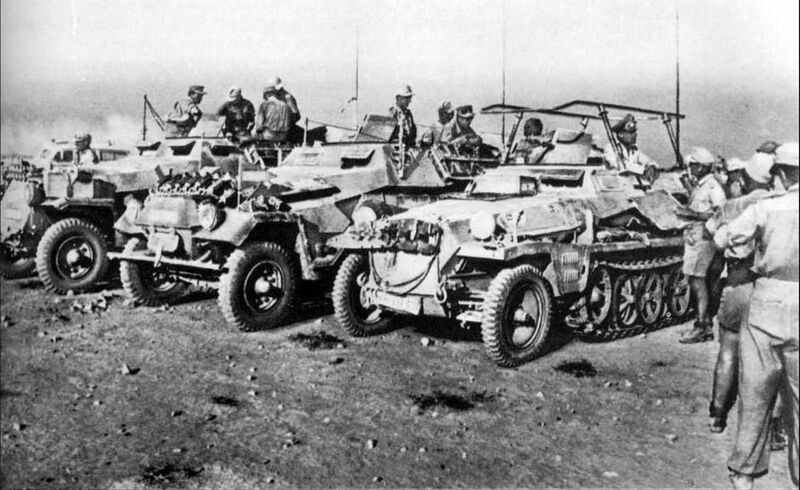 1943- SdKfz 2, better known as the Kleines Kettenkraftrad HK 101 or Kettenkrad, abandoned by retreating Germans in North Africa. 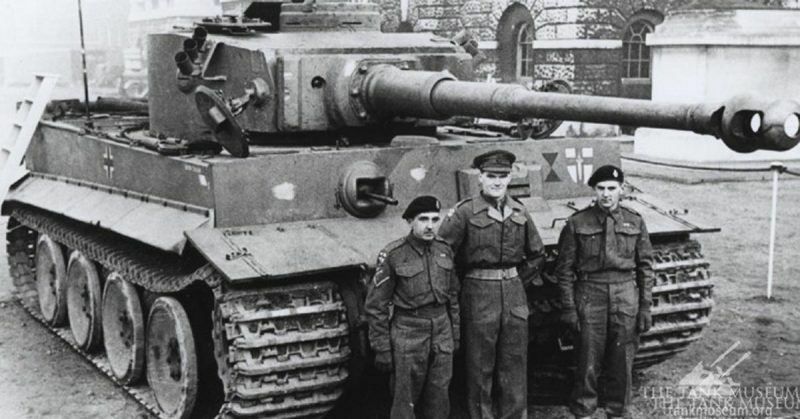 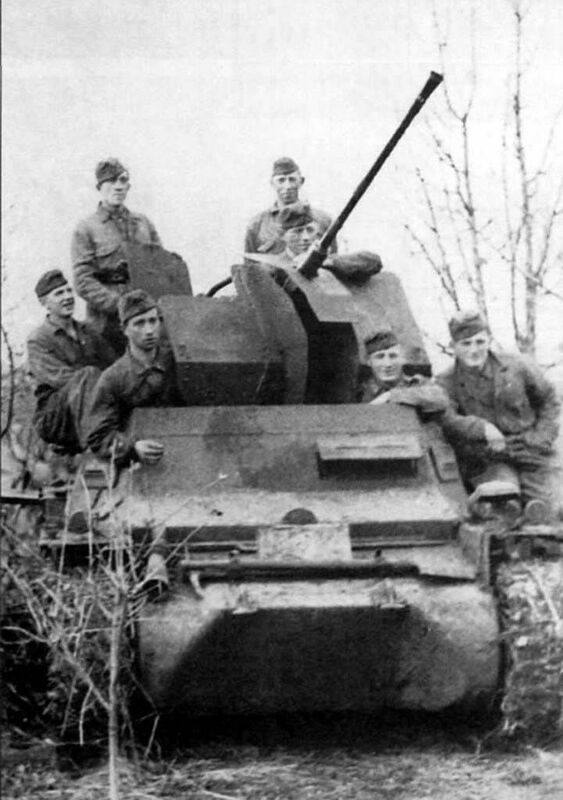 Tank Ace Otto Carius with his Tiger 1 and crew pose for a picture for home. 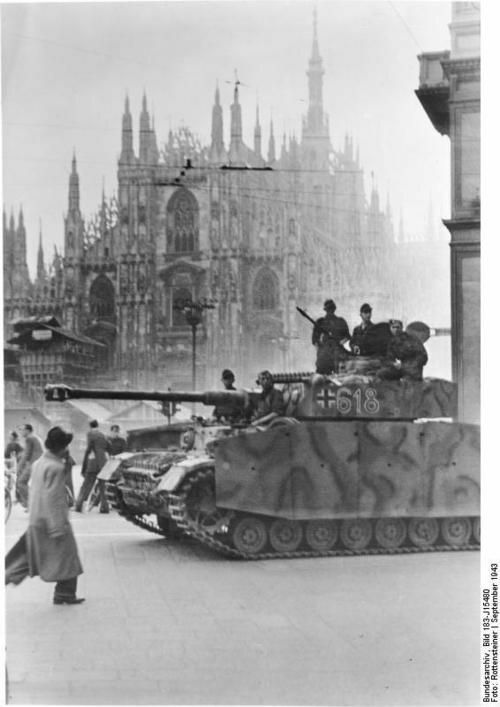 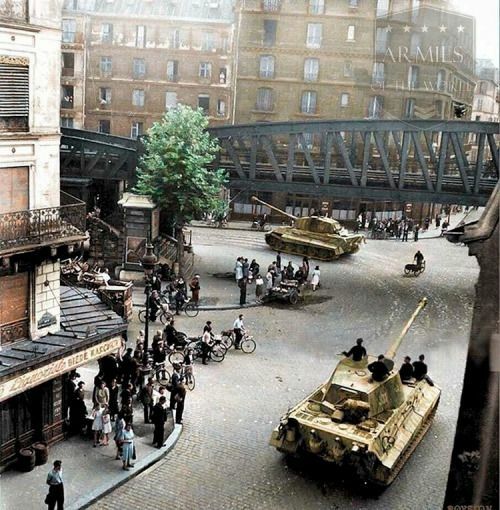 Milano Italy 1943 A German tank in Piazza del Duomo - Americans don't understand war the way Europeans do. 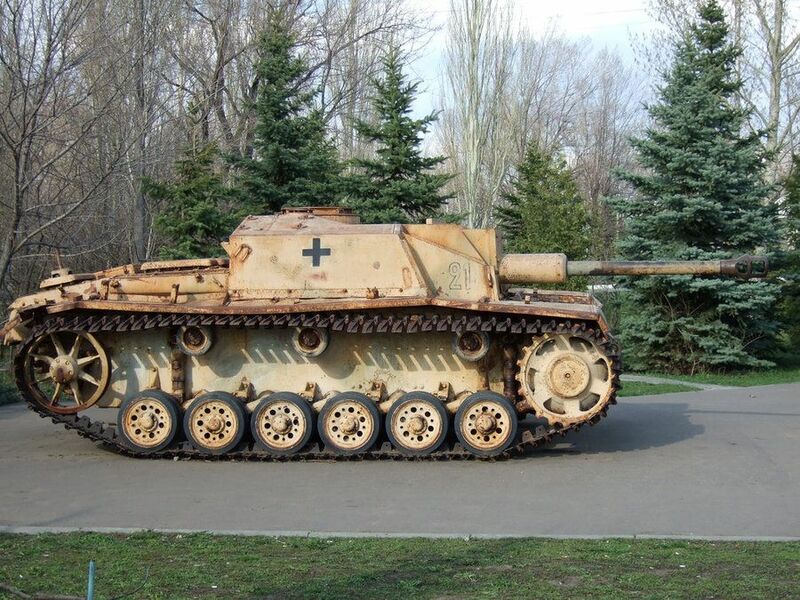 A StuG 3 that was recovered from being buried in mud and still shows it's original paint color. 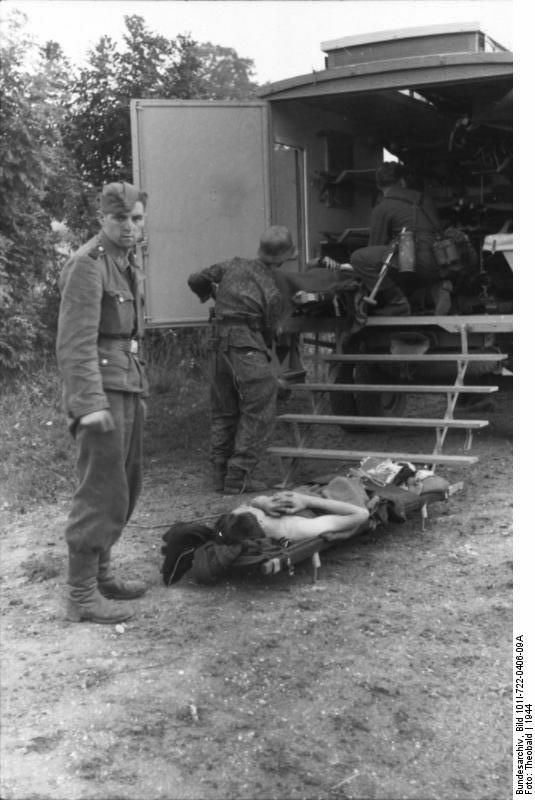 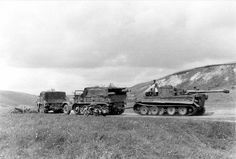 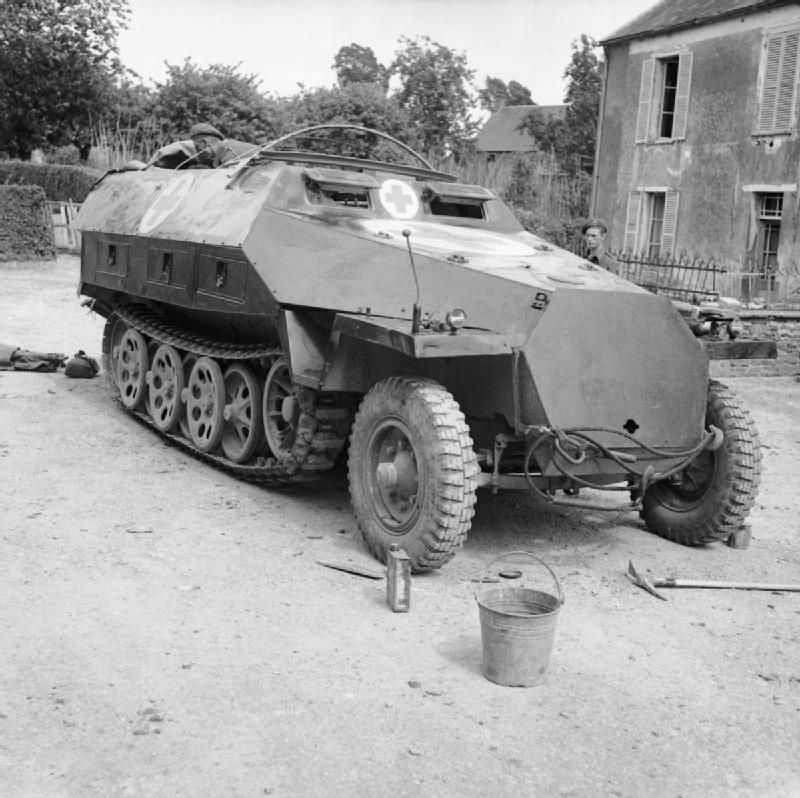 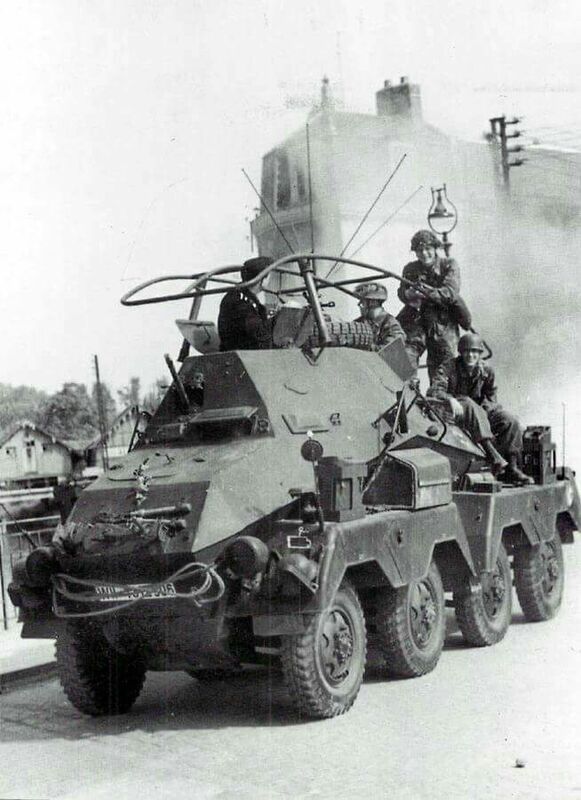 BRITISH ARMY NORMANDY 1944 (B 5609) A captured German SdKfz 251 ambulance half-track, 15 June 1944. 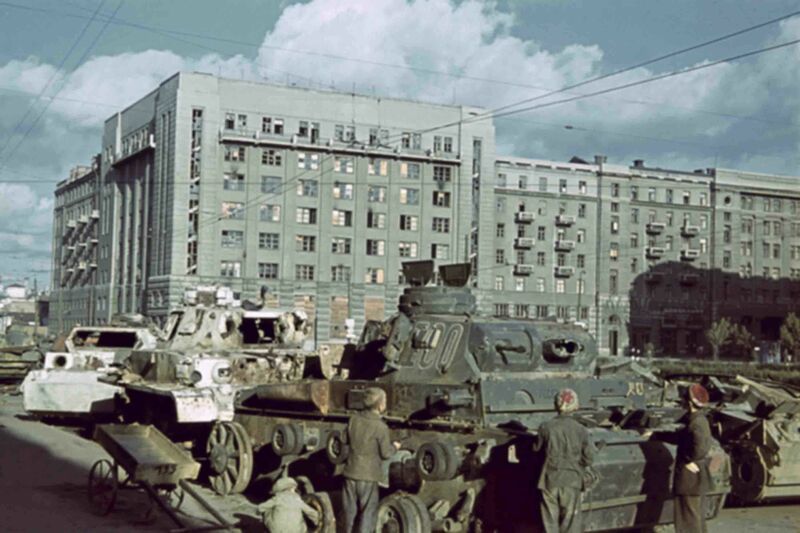 Russian children see destroyed German tanks collected at Station Square (view from the main post office) in the occupied Kharkov. 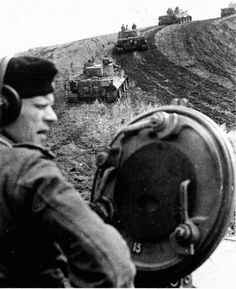 German Tiger I heavy tanks climbing a hill on the front lines near Belgorod, Russia, 13 August Photo: Bundesarchiv, Bild Bernd Lohse. 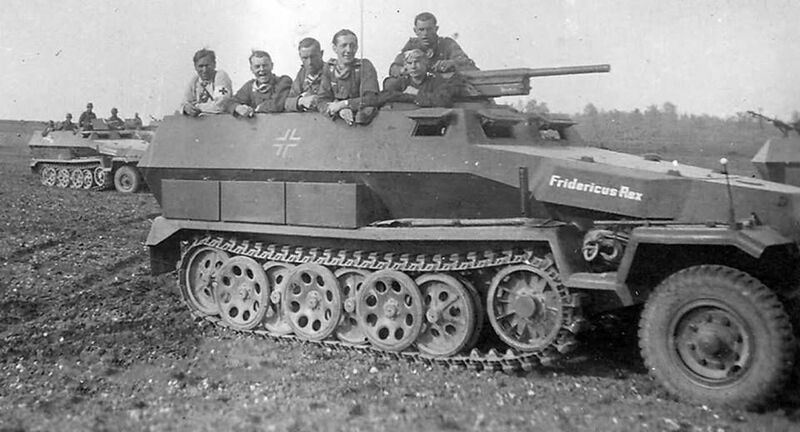 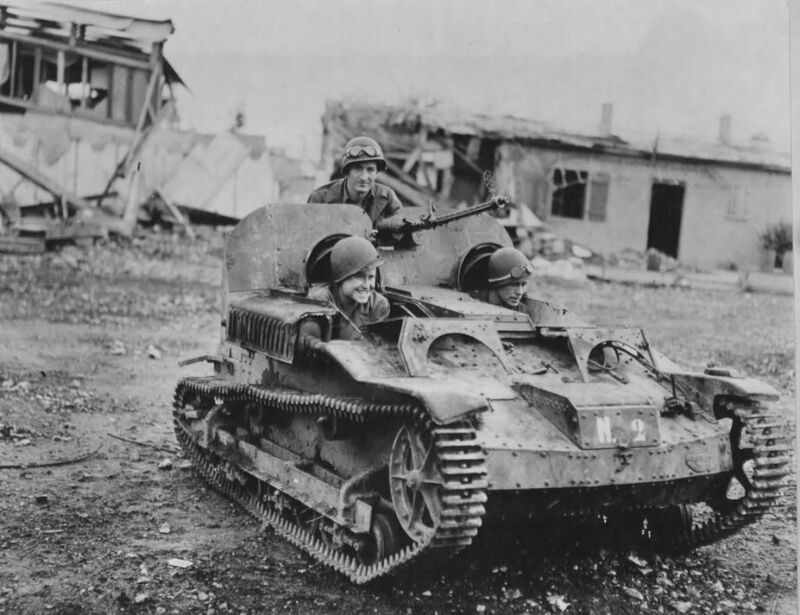 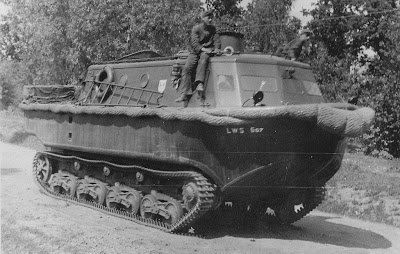 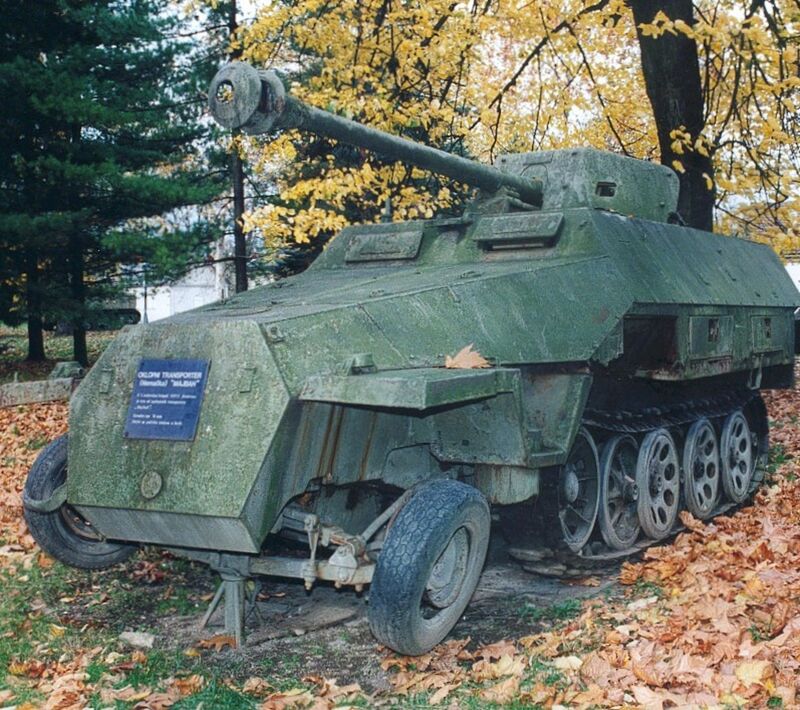 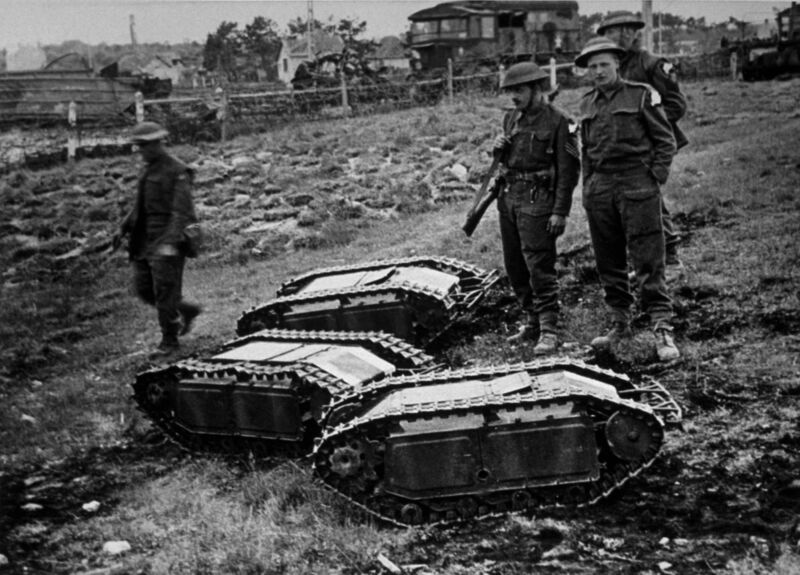 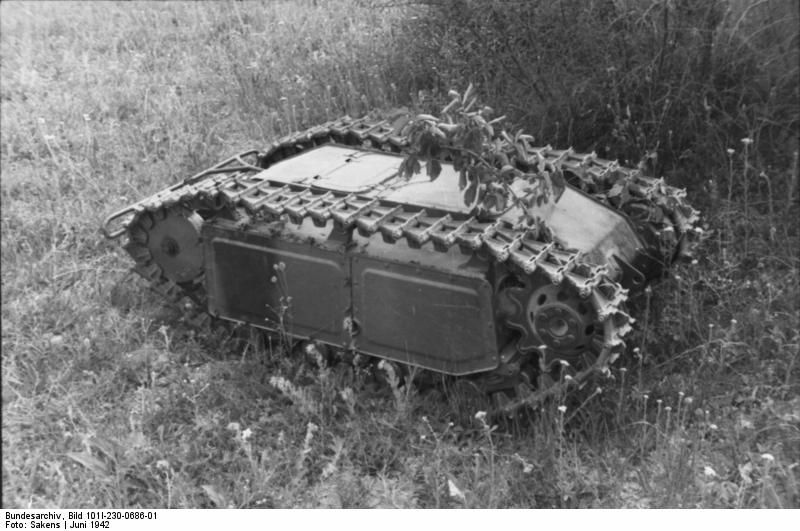 sector 'Utah' captured German self-propelled tracked mines 'Goliath' (Sd.Kfz. 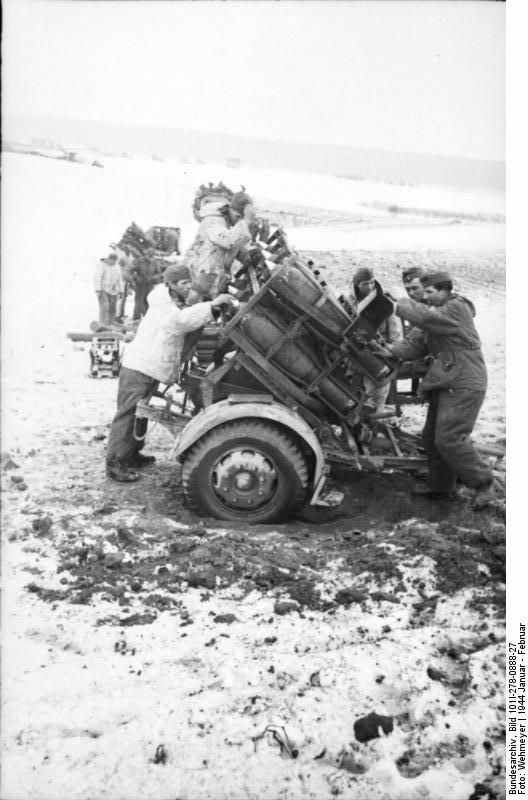 302).